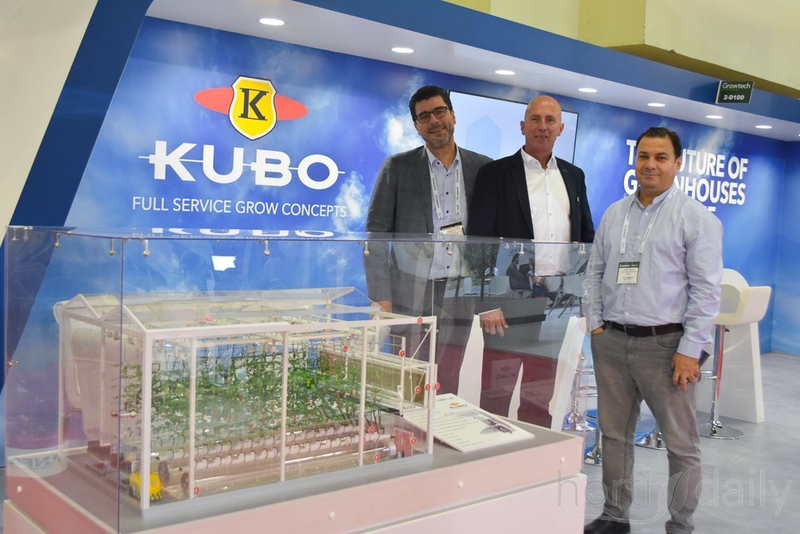 KUBO is represented by Robert Keijzer, Ron Plaisier & Ahmet Kurklu. 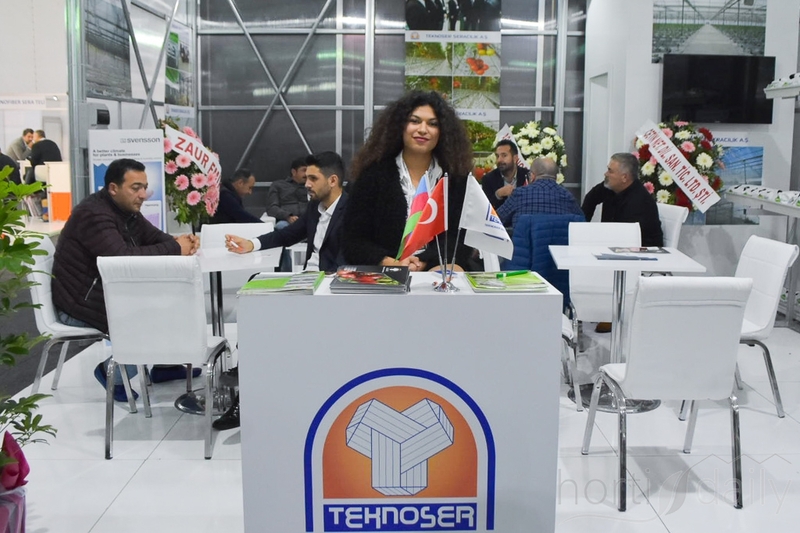 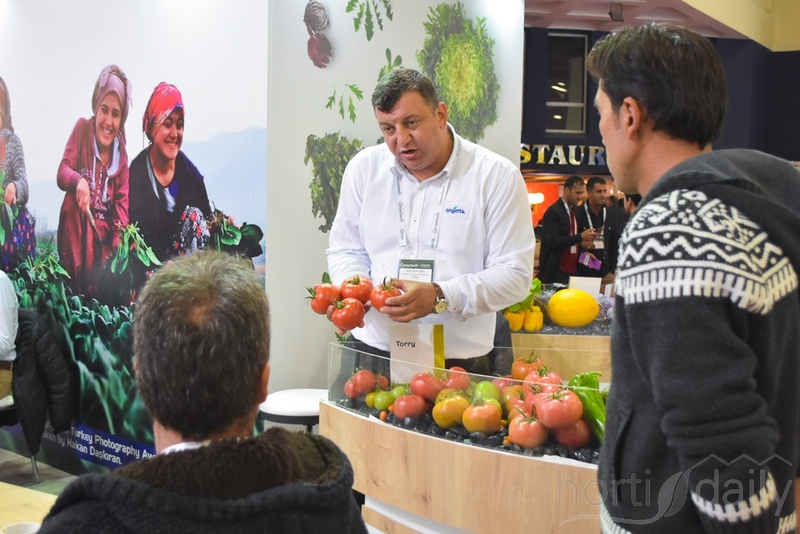 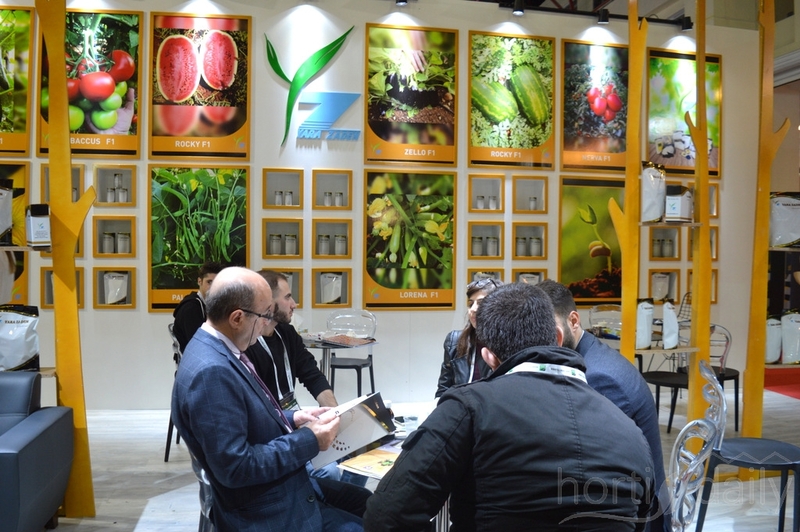 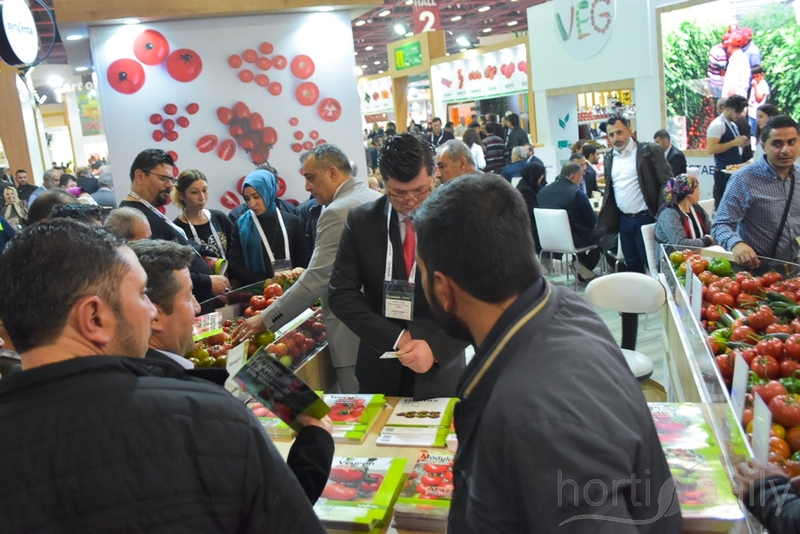 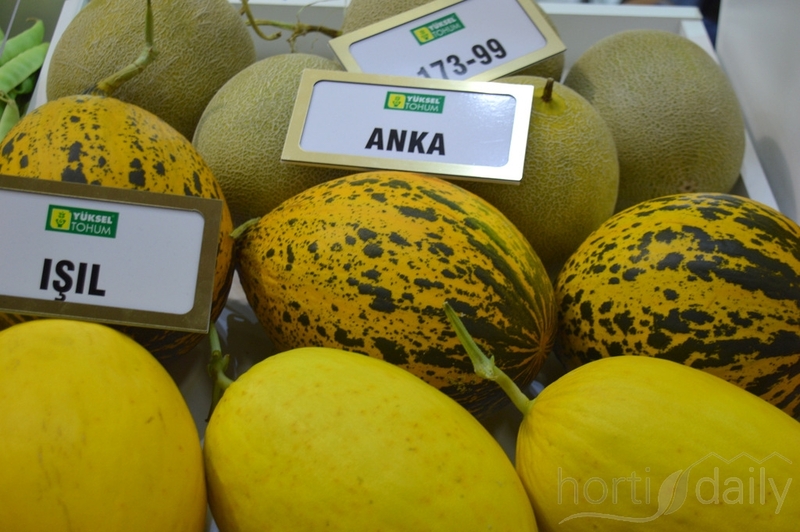 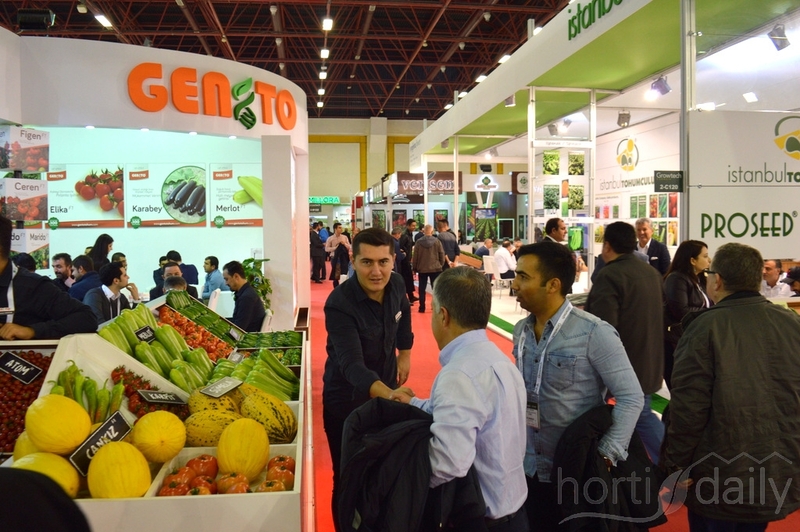 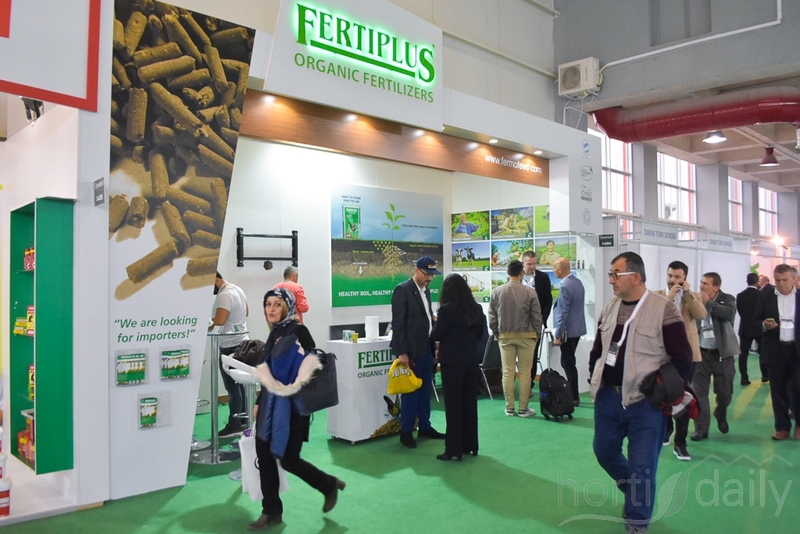 They explain how they have trust in the Turkish market, even though it has been a difficult time, since the country has an agricultural background & many good growers. 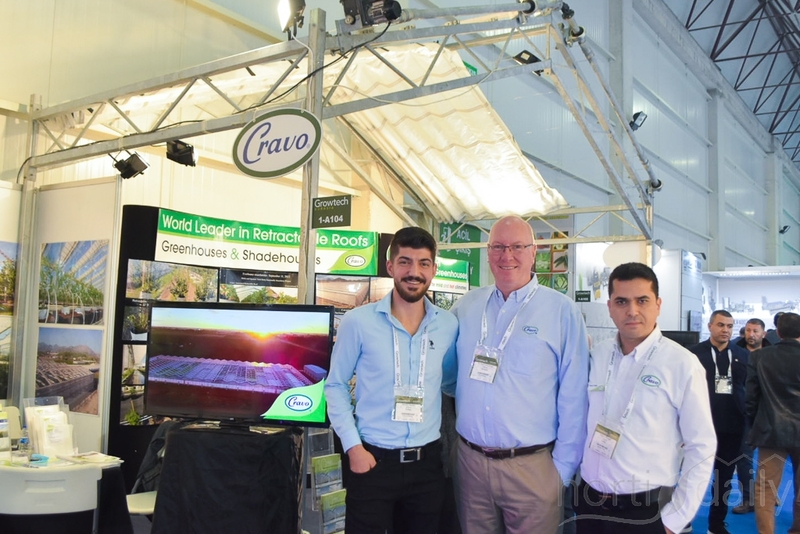 Yosun Cengiz (left) is responsible for the Middle East, Ahmet Soydal is in the Turkish office of Cravo and Richard Vollebregt, in the middle, just does it all. 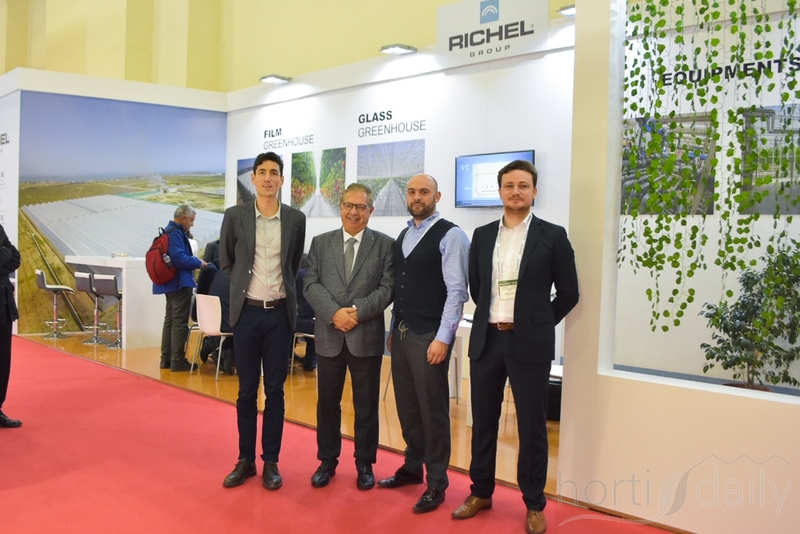 Brice Richel, Olivier D'Eaubonne, Nima Djelveh & Pierre Vandenameele with Richel. 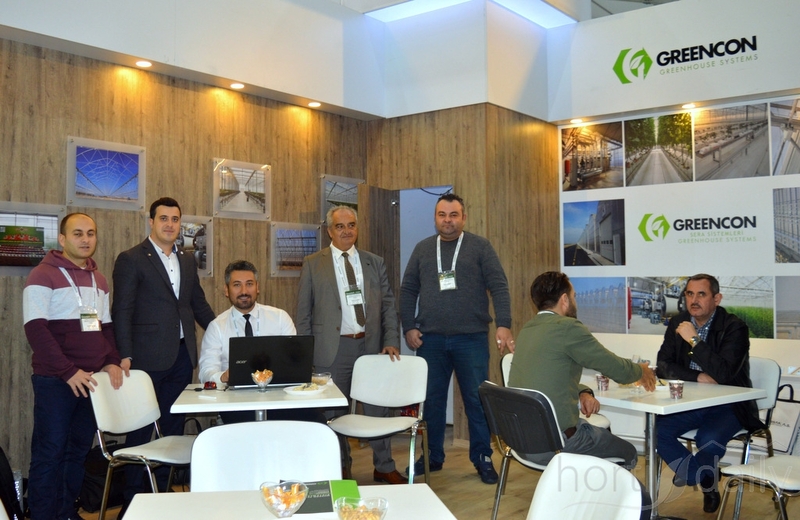 They are visited by mr Ergün Erunal with Ayer. 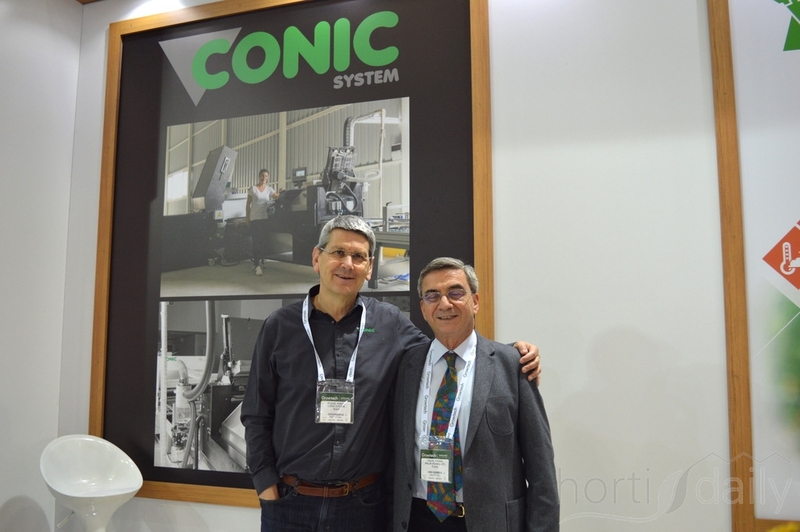 Back in 1993 he was the first Richel customer in Turkey. 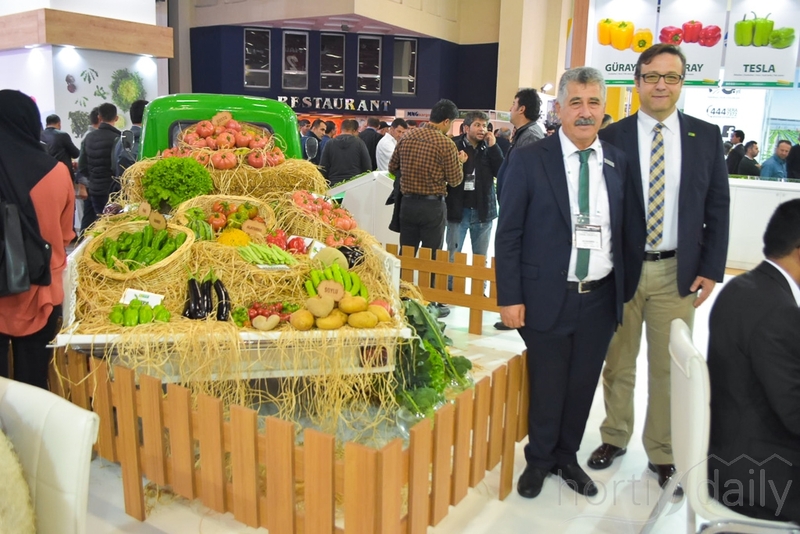 Ziya Yıldız & Turan Soylu with Yüksel Tohum, one of Turkeys biggest breeding companies and exporting their varieties all over the world. 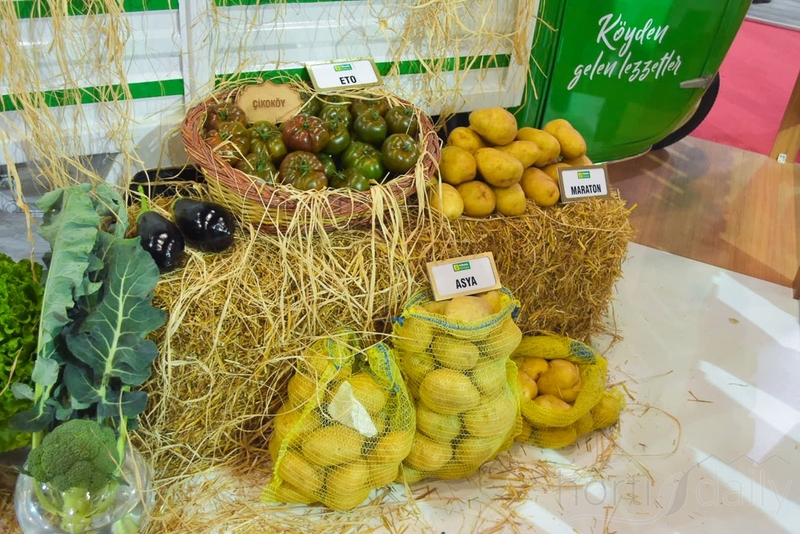 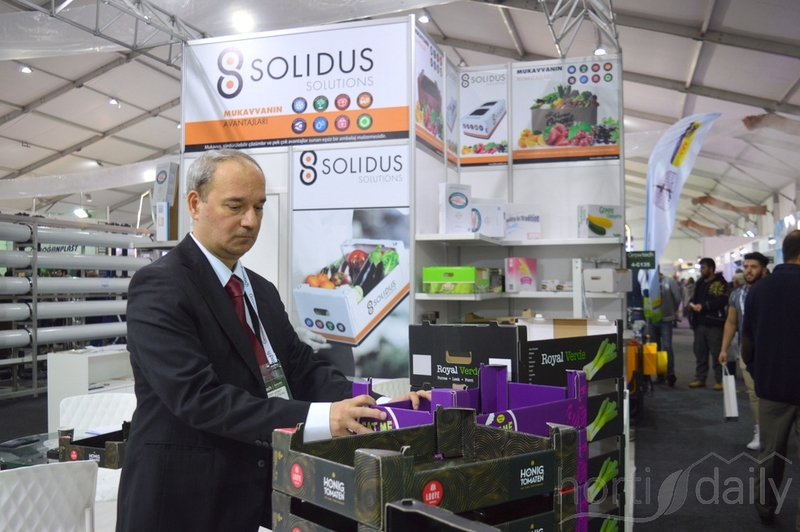 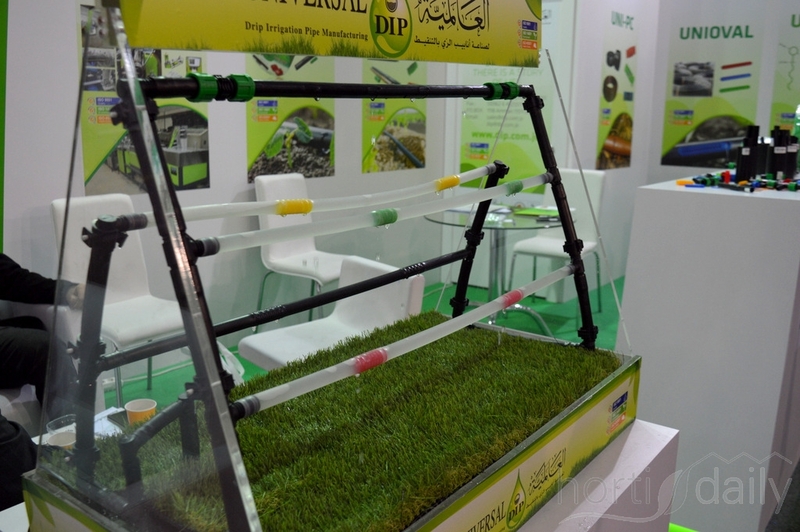 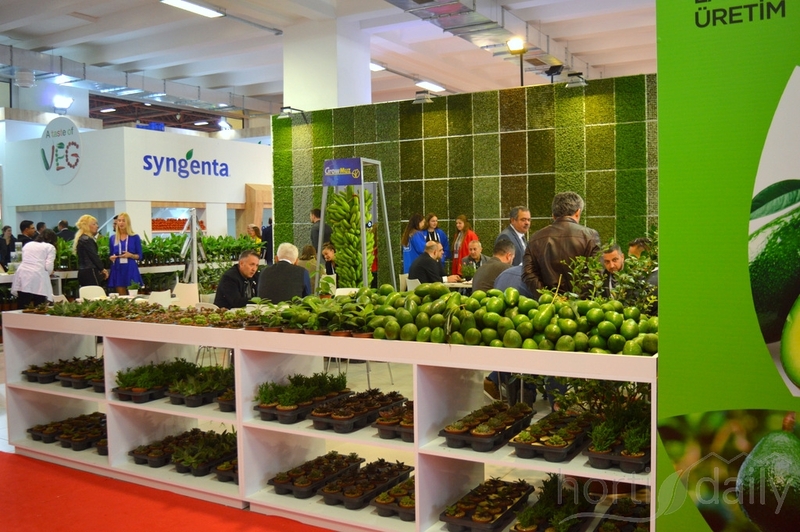 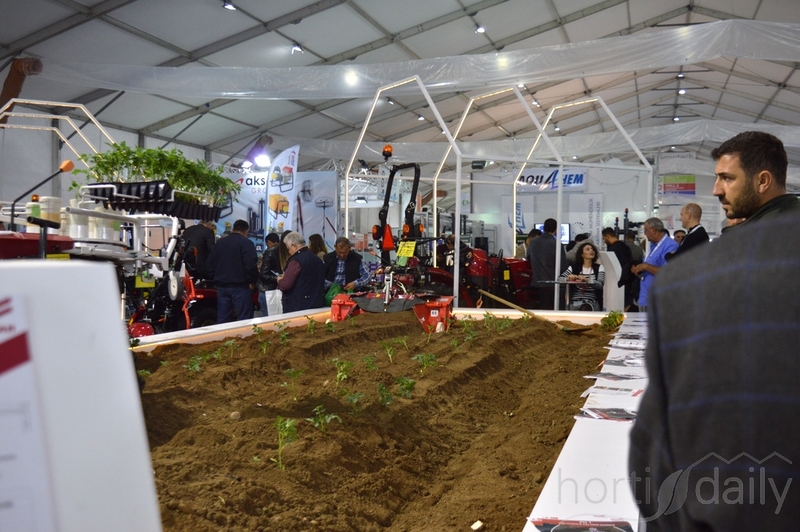 During the exhibition they launched their potato varieties. 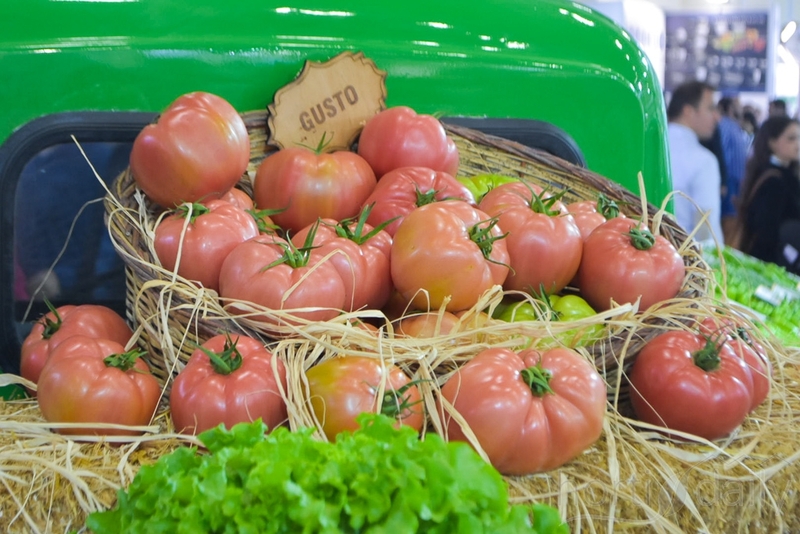 Also new: the Gusto tomato. 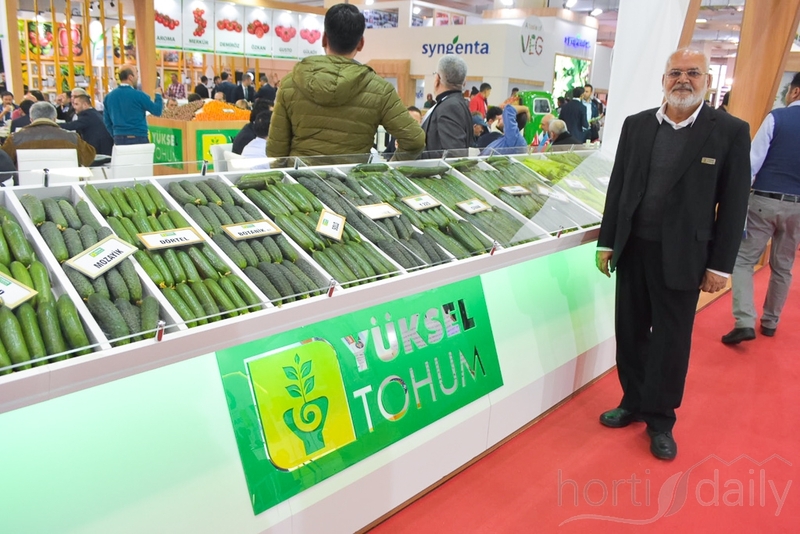 Mr Mian Shoukatali from Pakistan is CEO of the Yuksel joint venture for the Asian market. 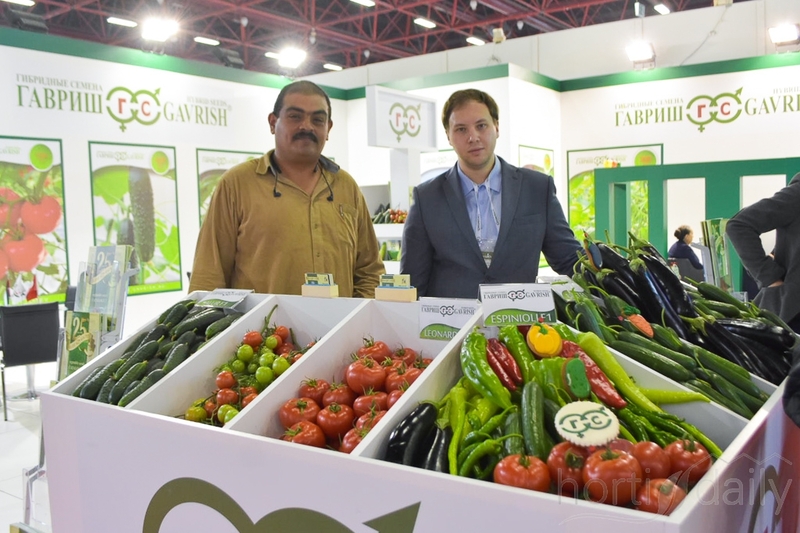 Being based in Pakistan and growing and expanding ‘till 60 hectares, he wants to help develop horticulture in the region. 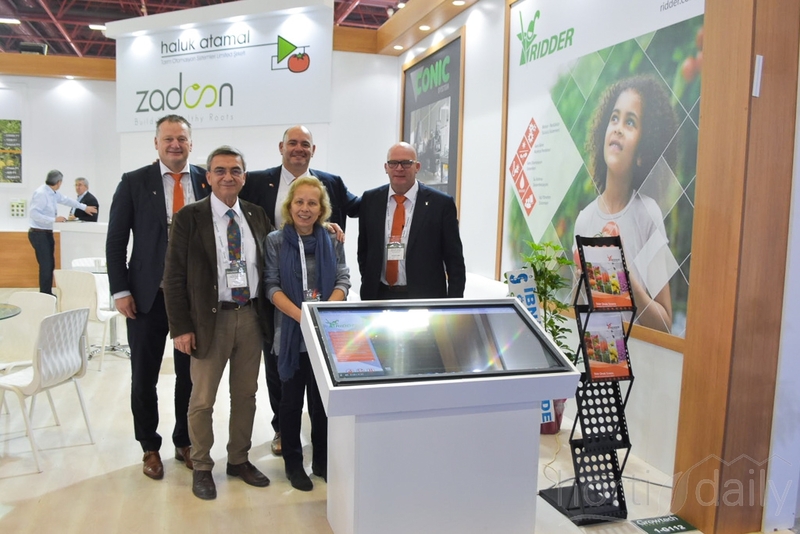 Rob Veenstra, Jose Carretero & Joachim Keus with Ridder and in front of them Haluk Atamla & Türkan Atamal with Haluk Atamal. 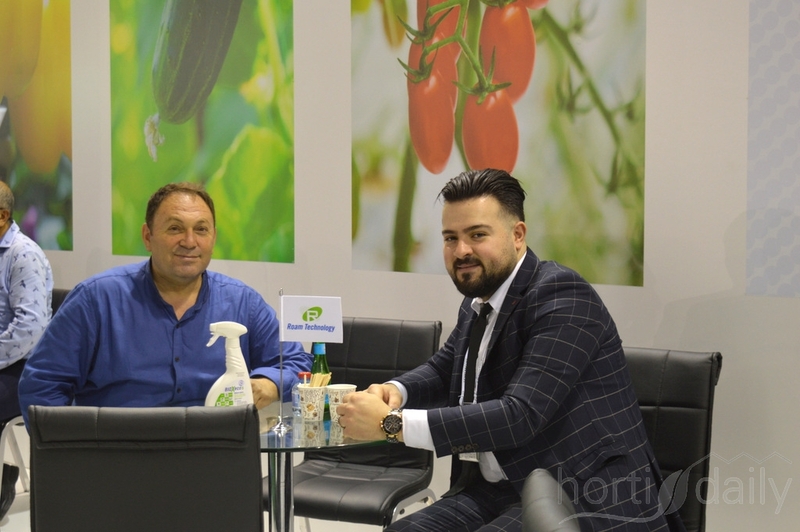 Gints Antoms & Adil Müftüoǧlu with Aranet. 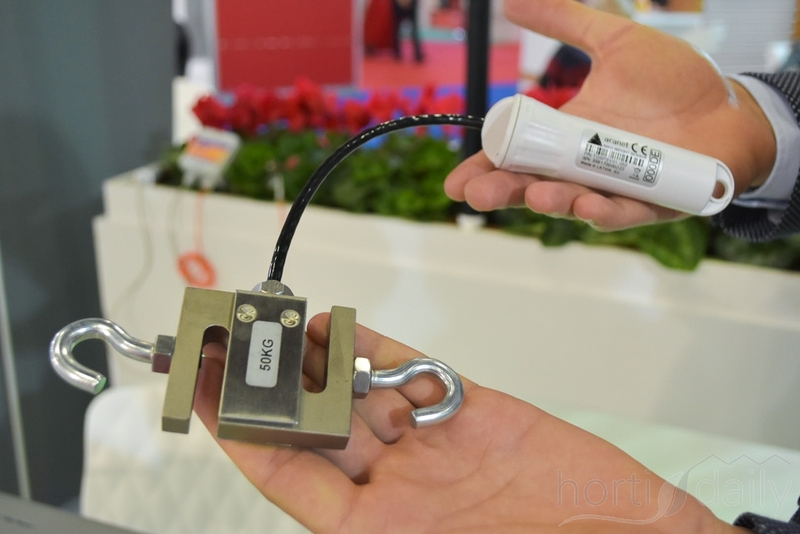 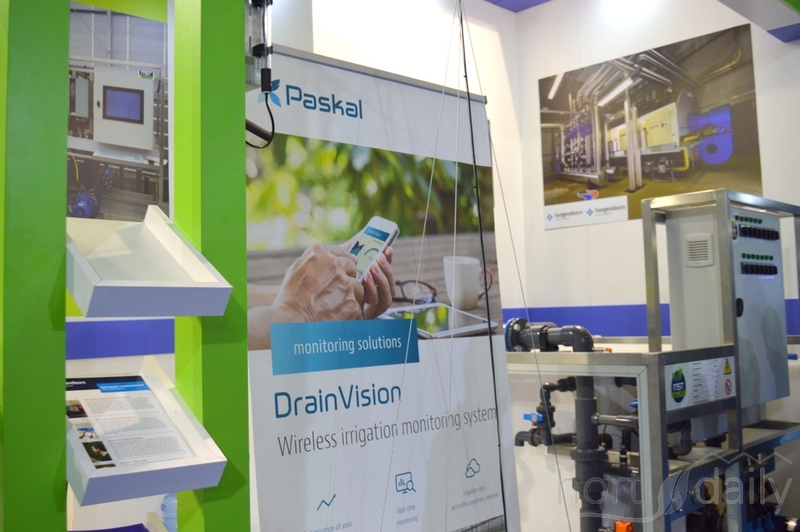 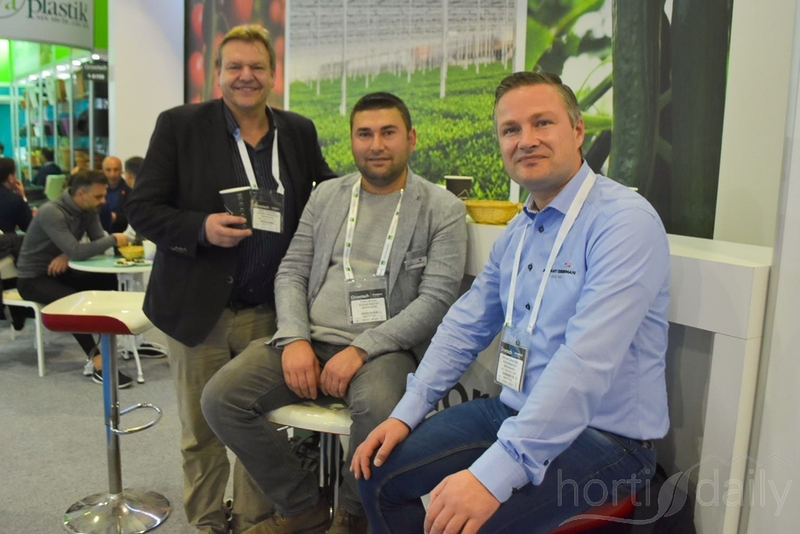 The company is relatively new in the industry and has been asked by growers to join since they offer a broad knowledge on measuring devices & sensor techniques. 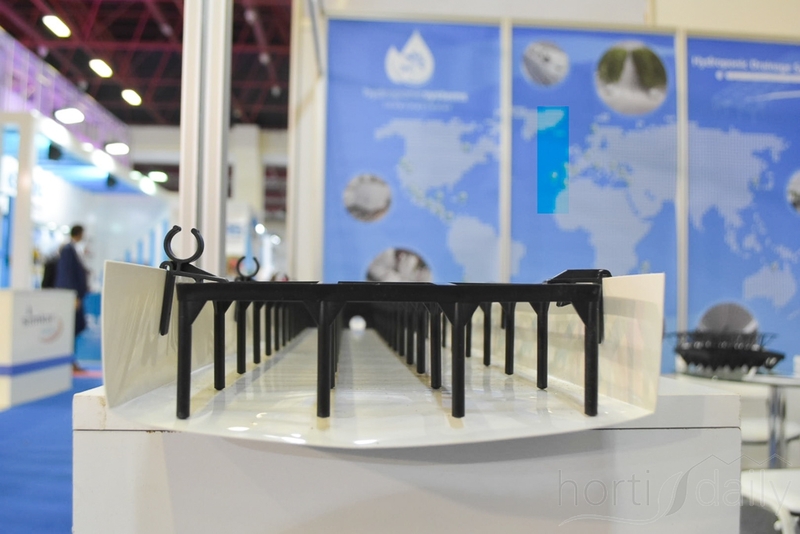 This results in a.o. 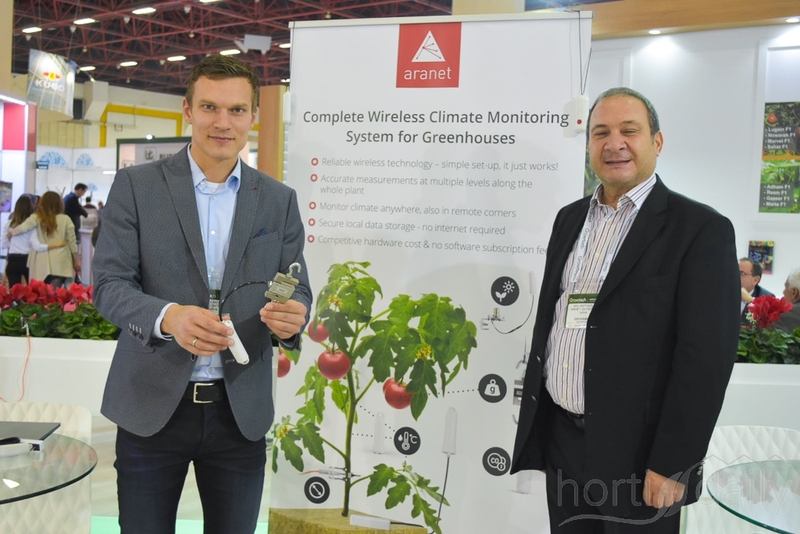 their climate and stern growth monitoring systems. 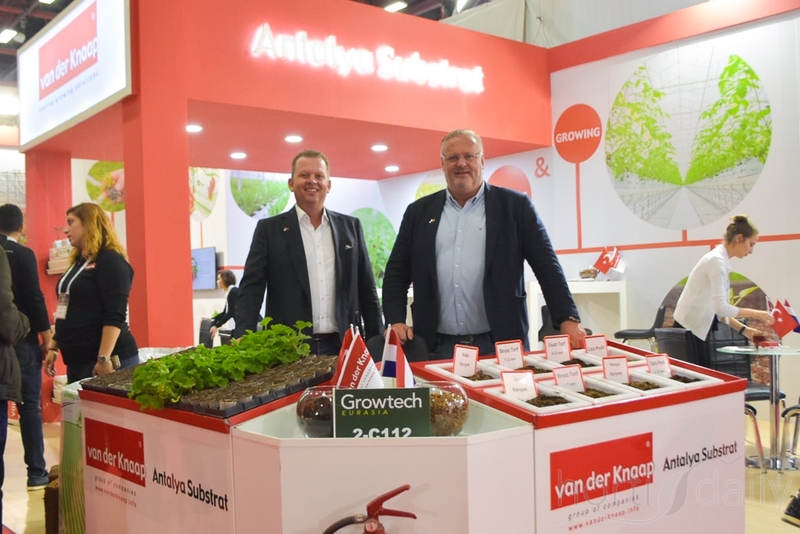 Chris van der Wel & Ron van der Knaap with Van der Knaap Substrates and their Turkish division Antalya Substrat. 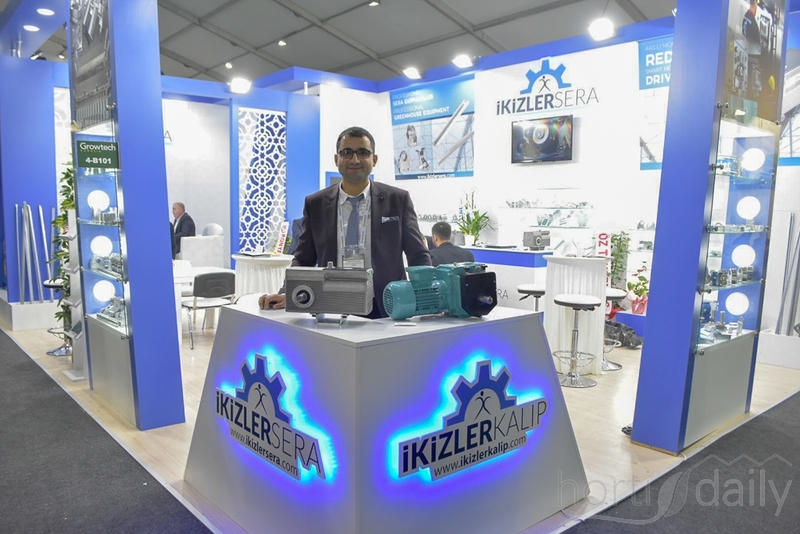 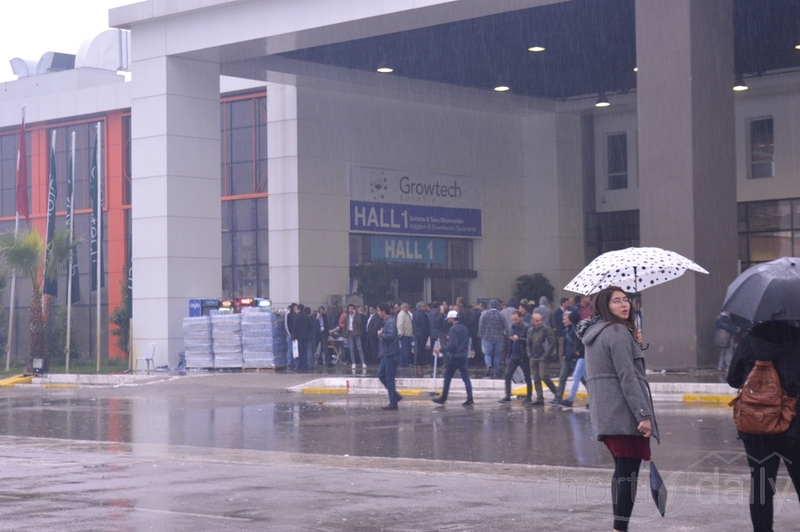 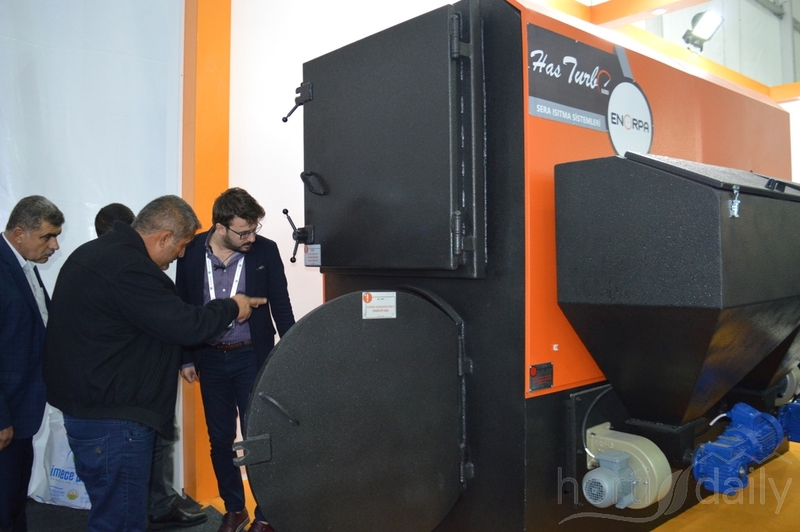 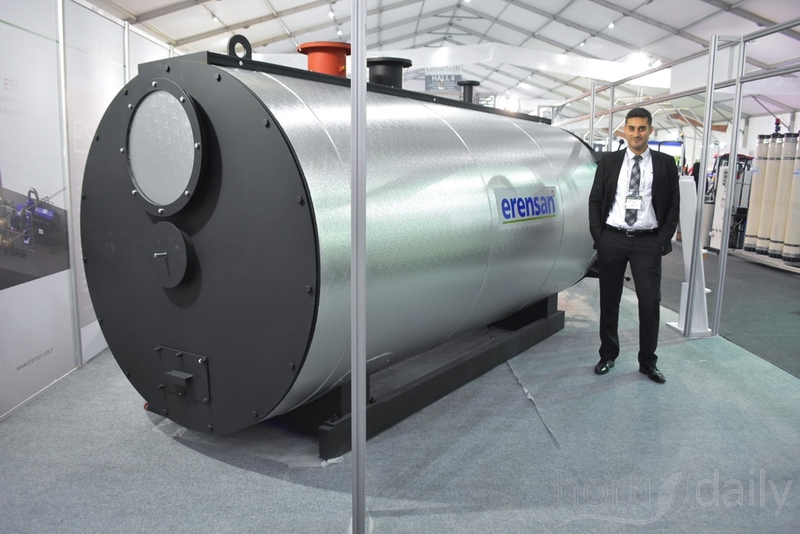 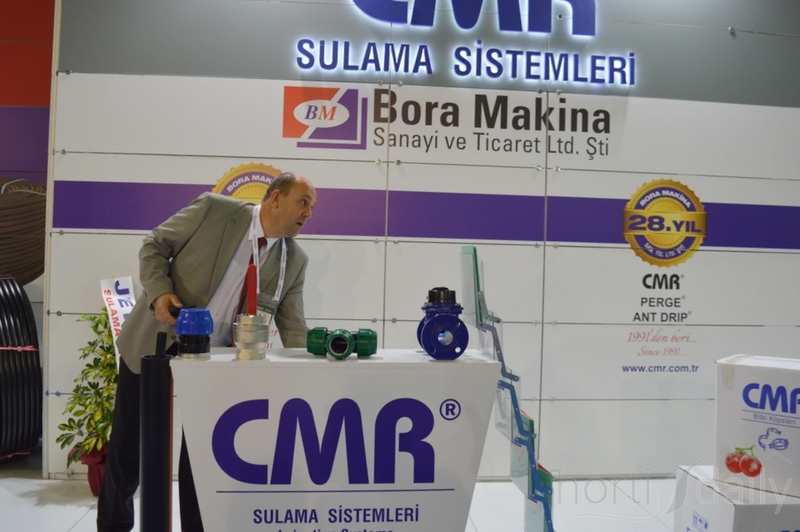 The company has been producing in Turkey for six years and this year the revised factory was opened. 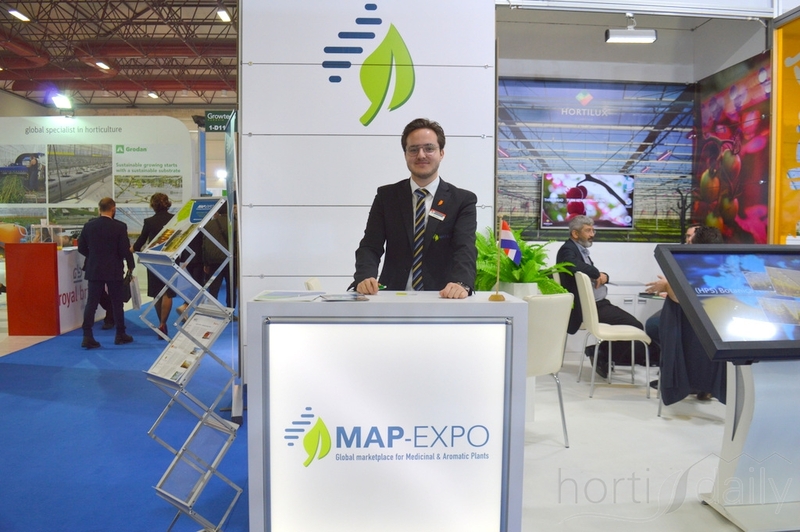 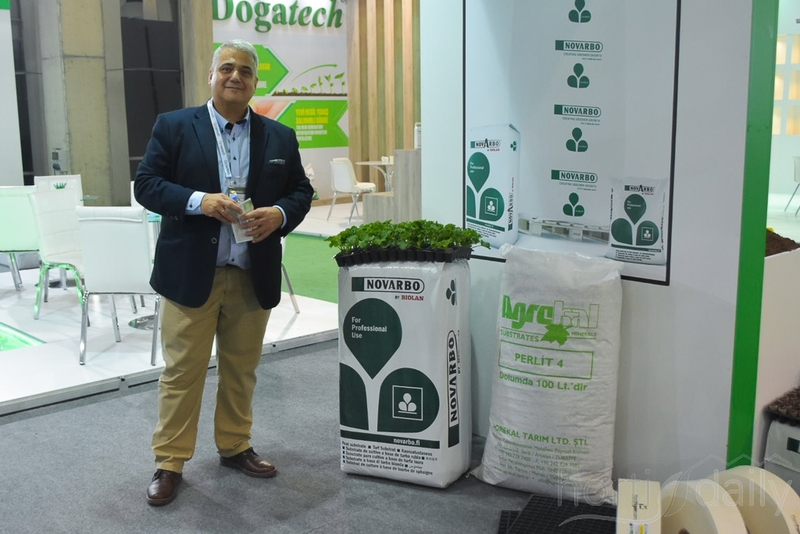 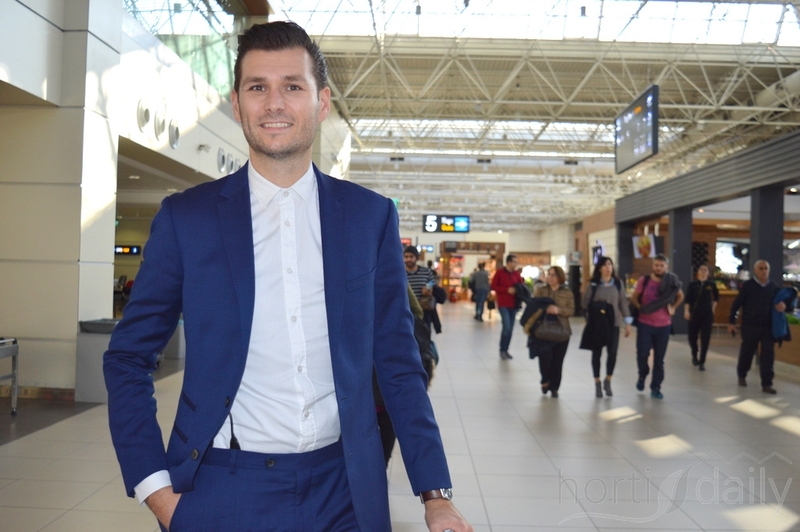 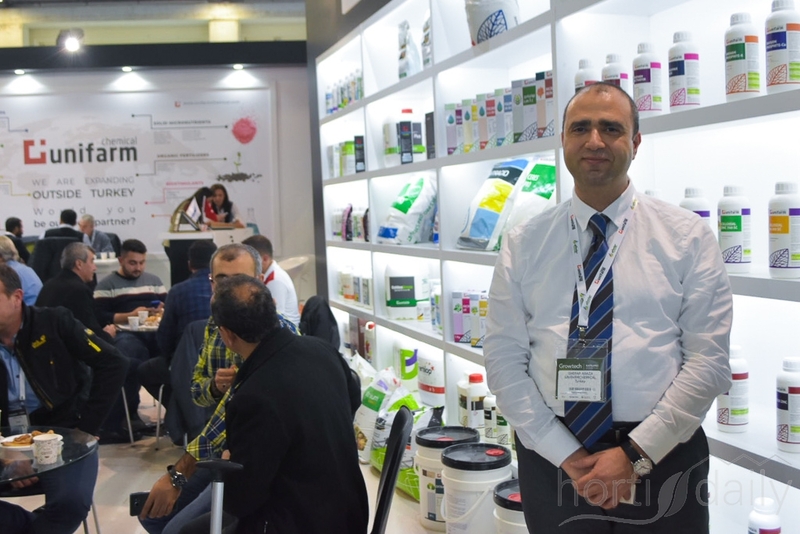 Hasan Yildirim is the area manager for the Middle East & Asia with Biobest. 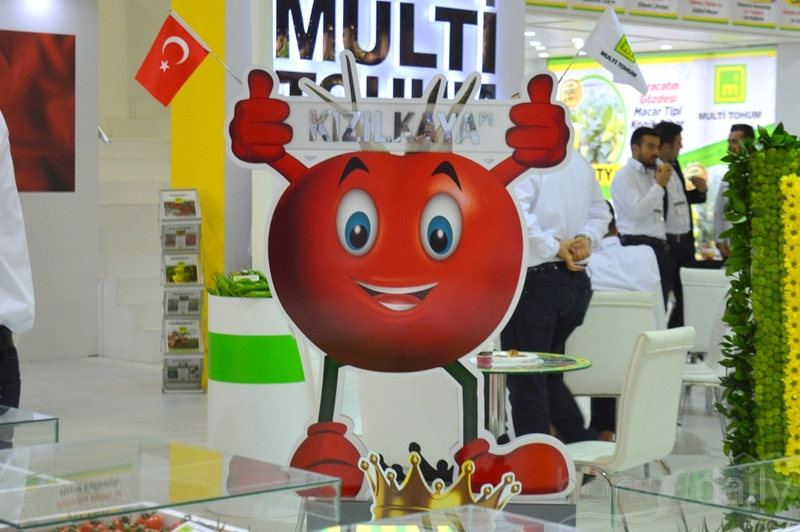 The company has production facilities in Turkey to offer product to the Turkish market and to export abroad. 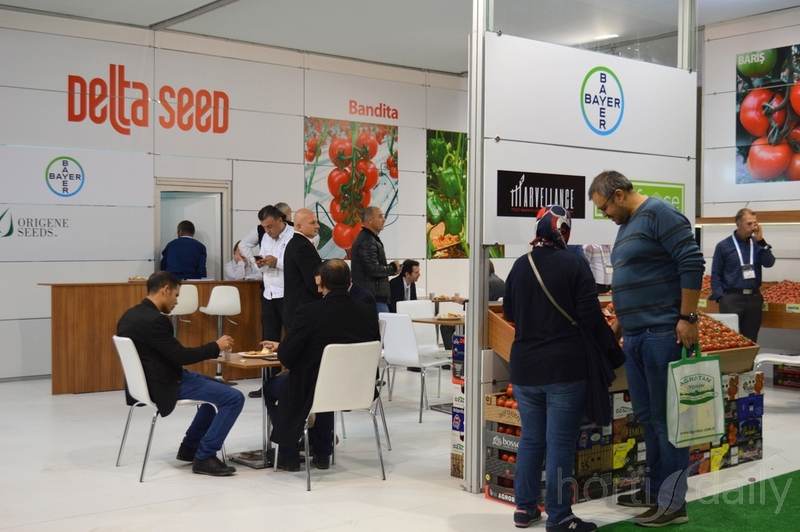 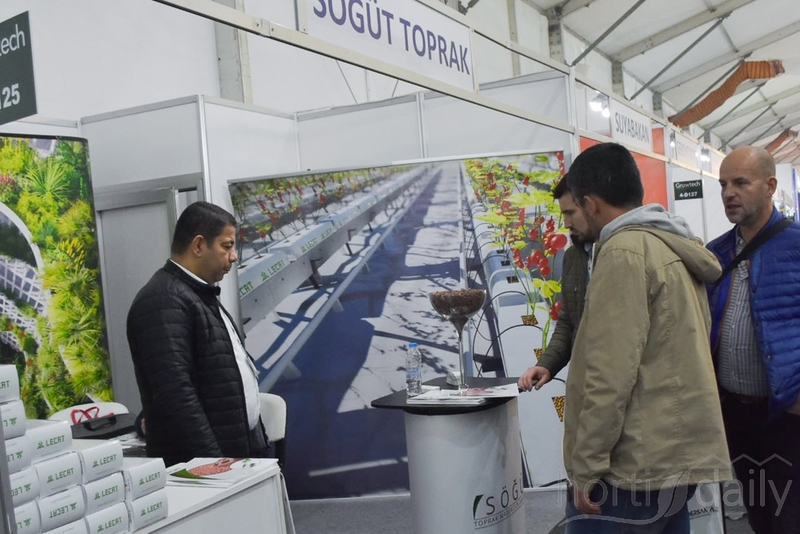 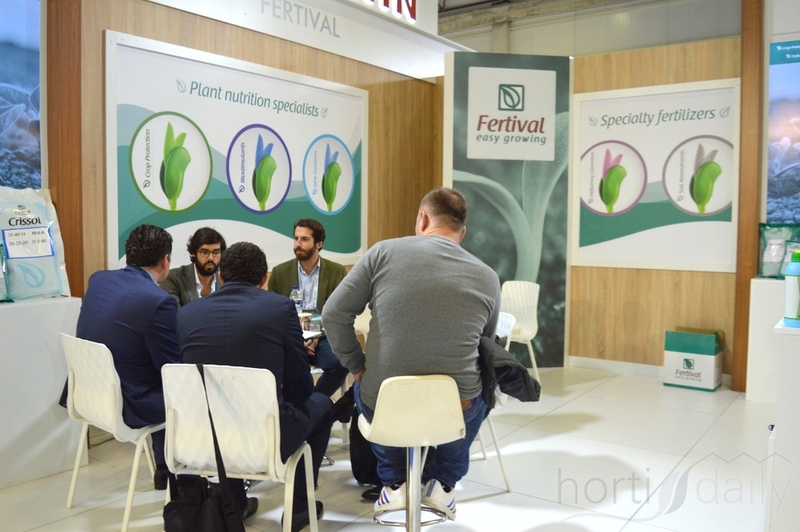 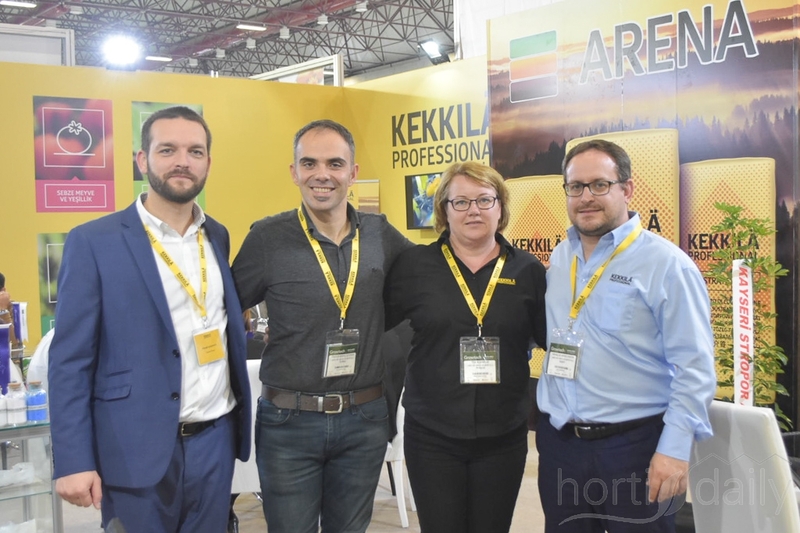 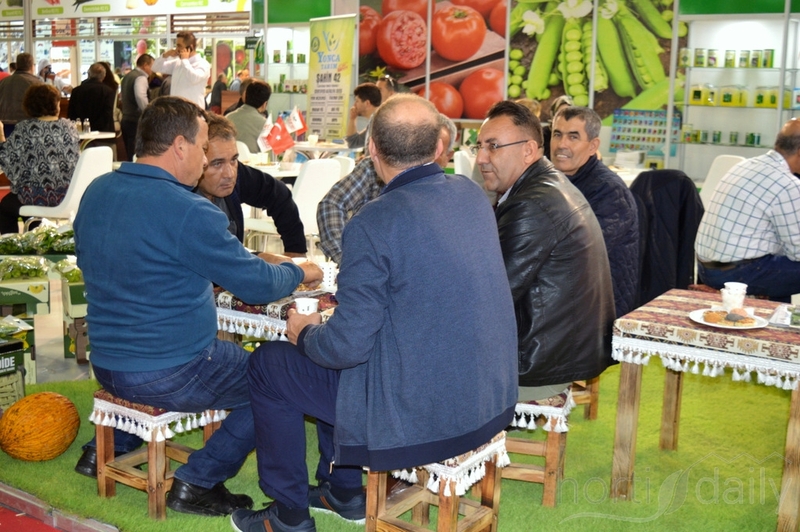 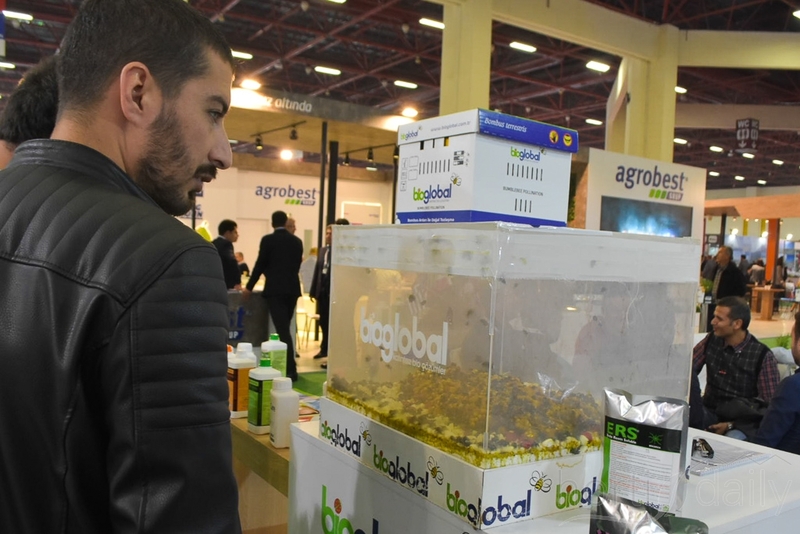 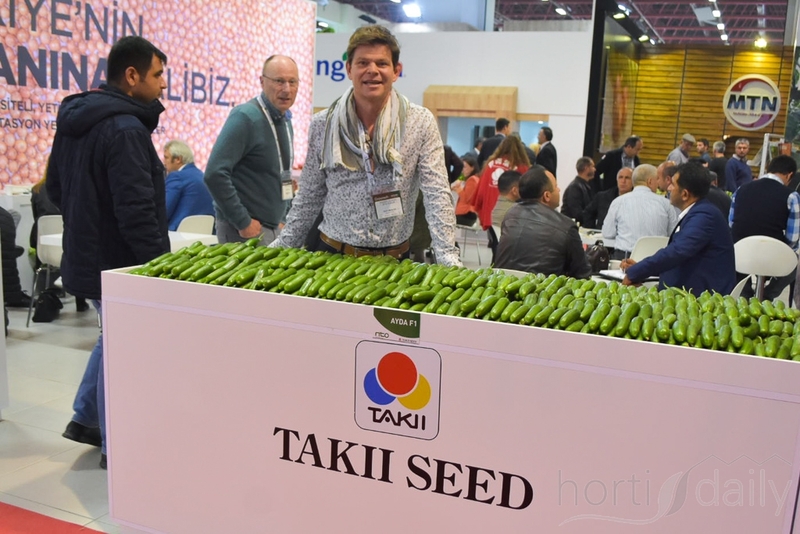 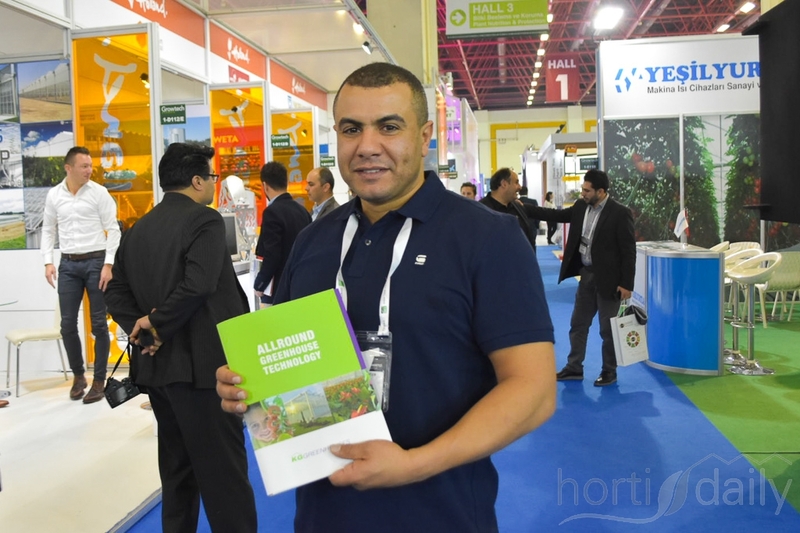 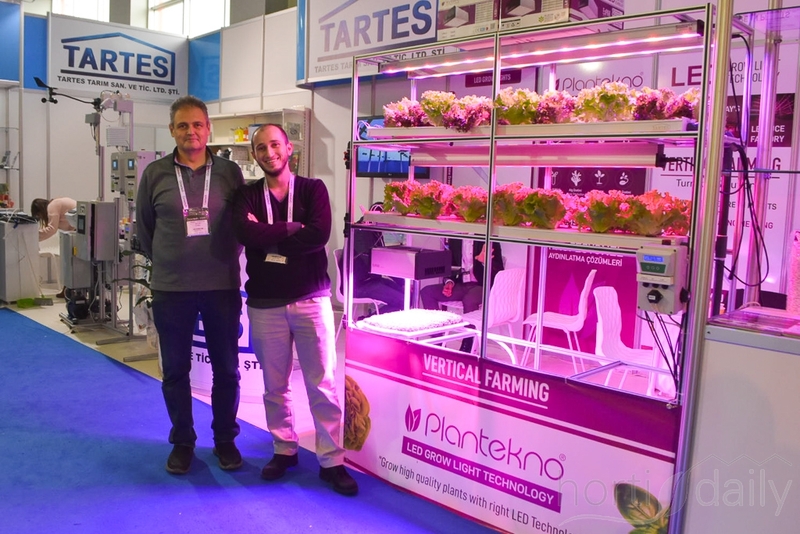 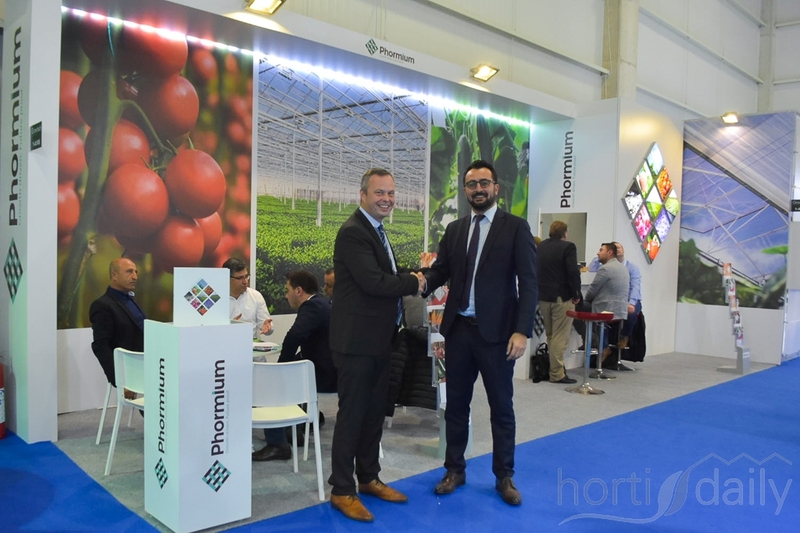 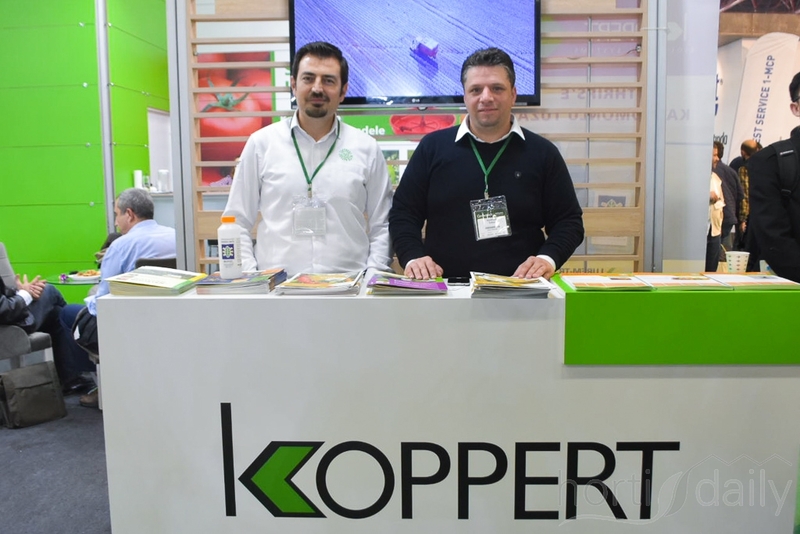 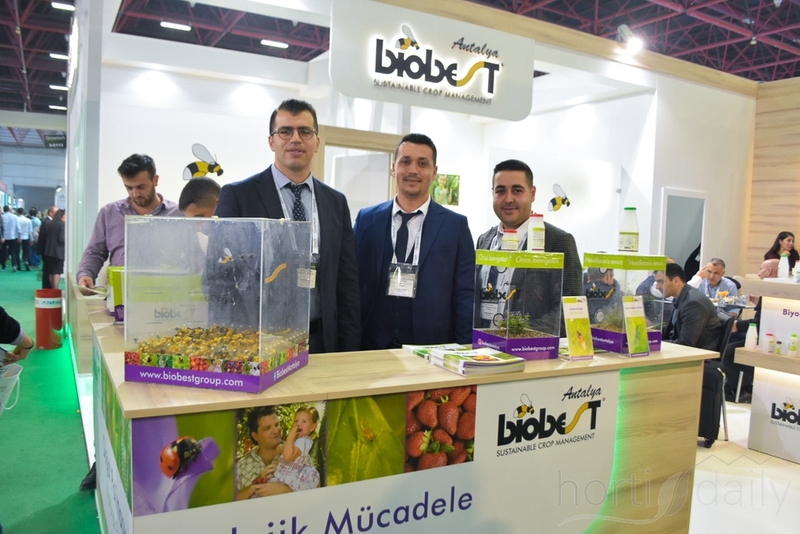 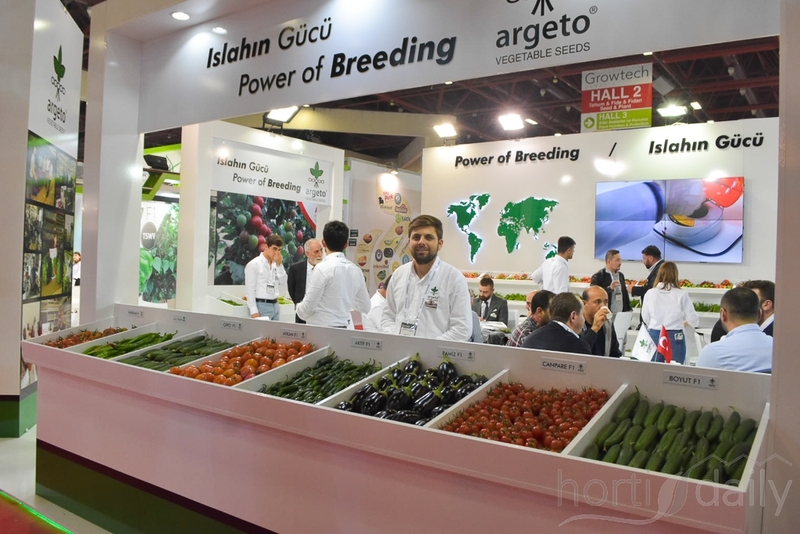 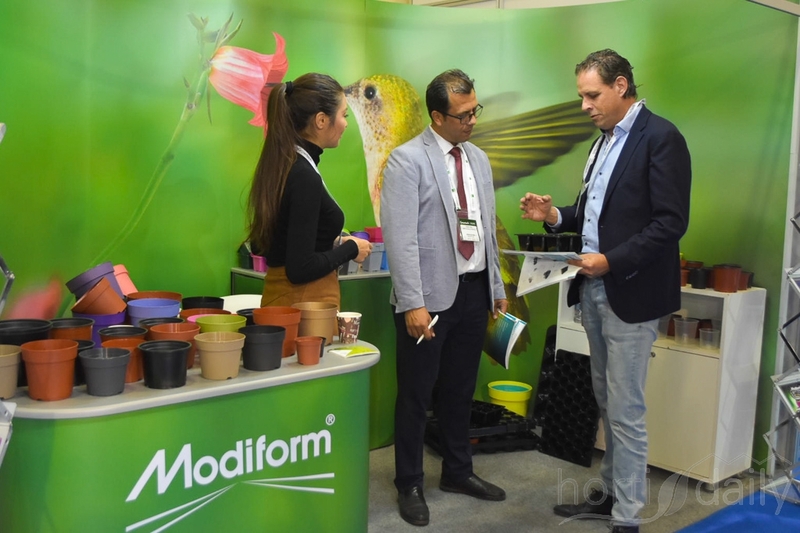 Hasan Altintaş & Ferit Nalbant with Koppert, also an important player of course in the Turkish market, where the use of beneficials keeps on growing. 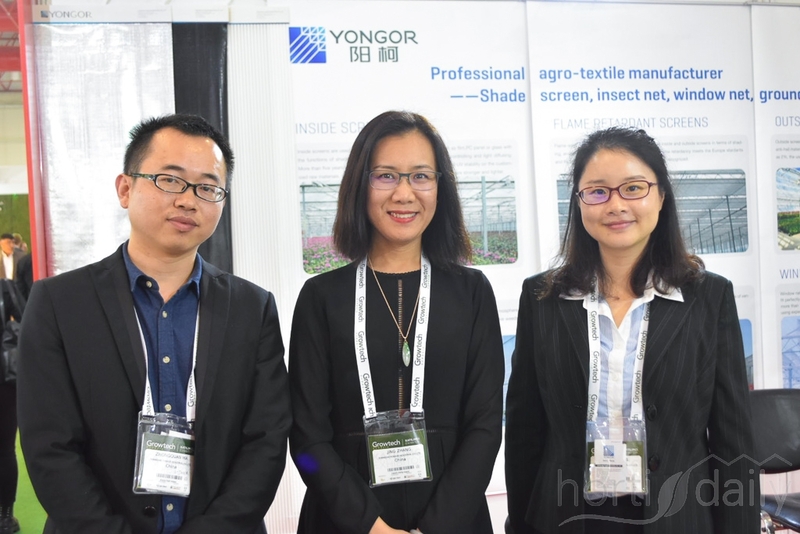 Zhongquan Ma, Jing Zhang & Jackie Ma. 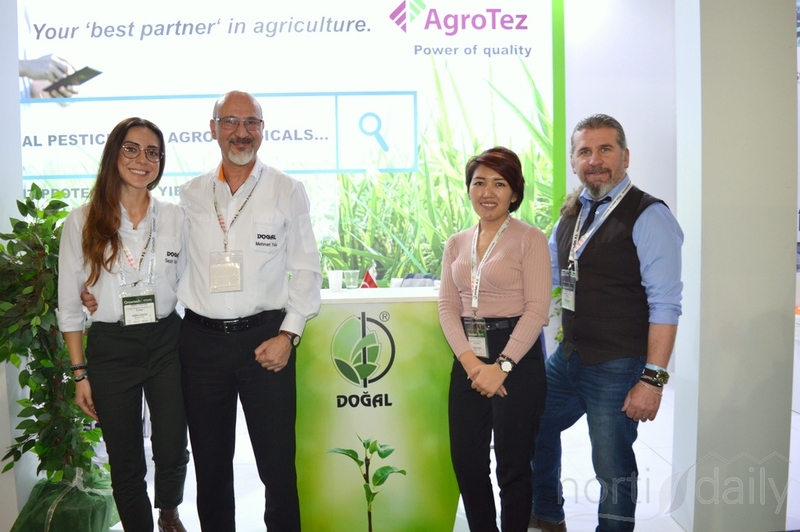 Zhongquan Ma joined Yongor recently. 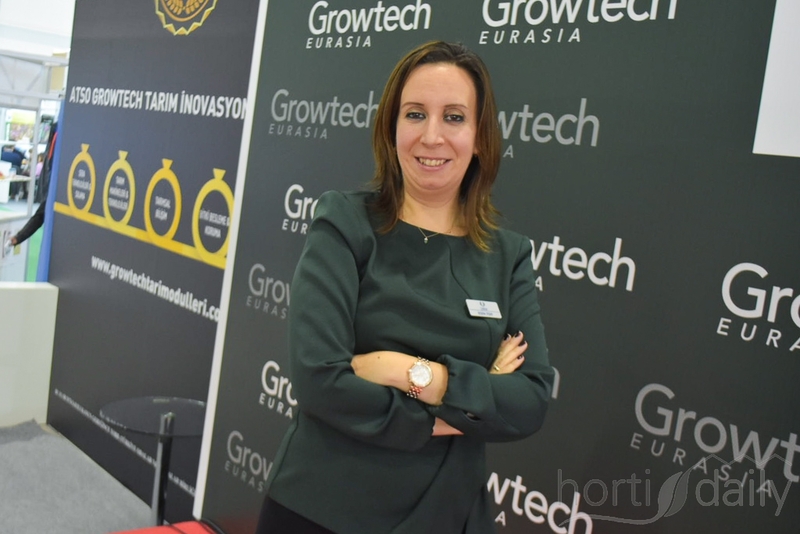 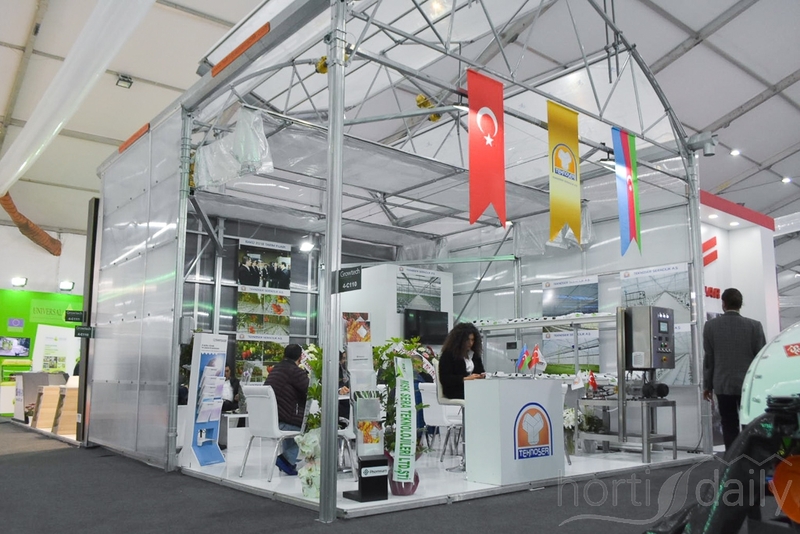 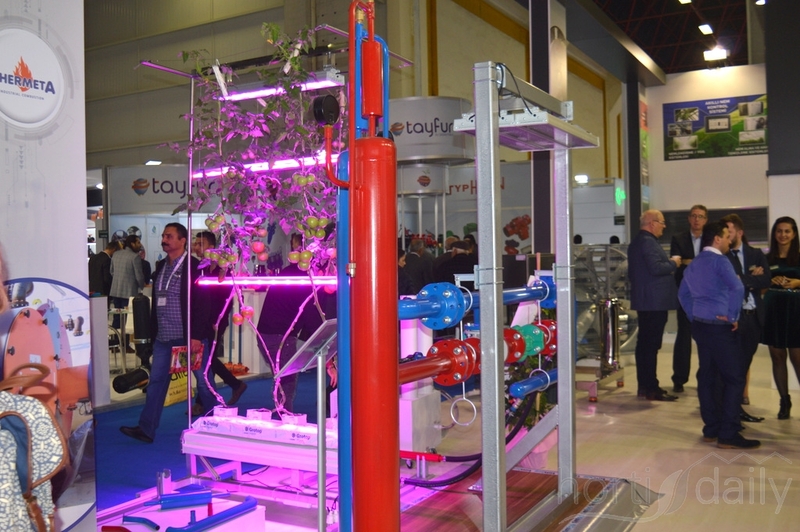 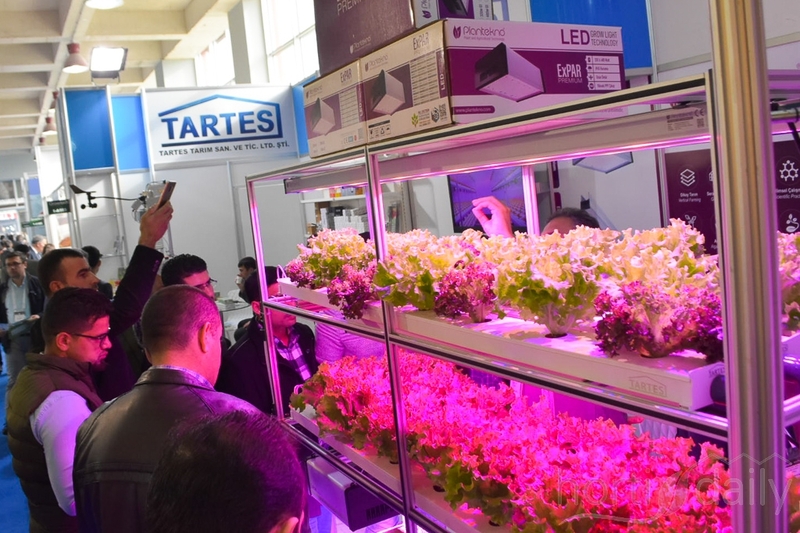 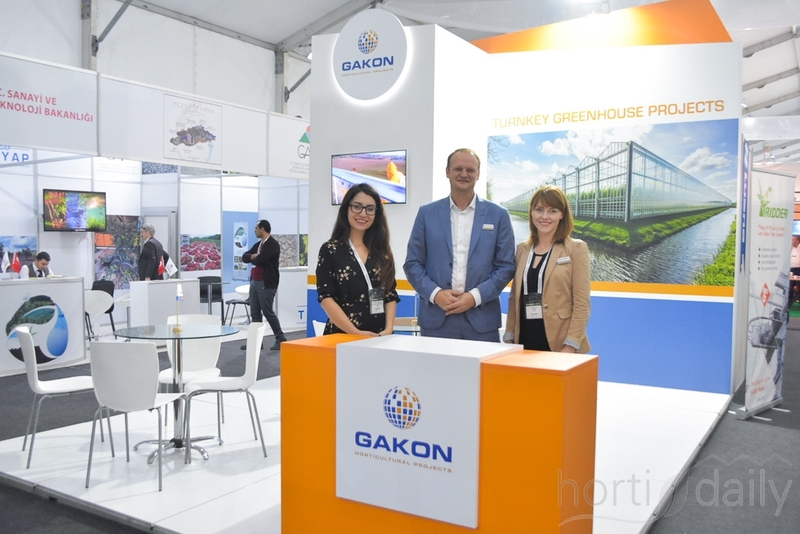 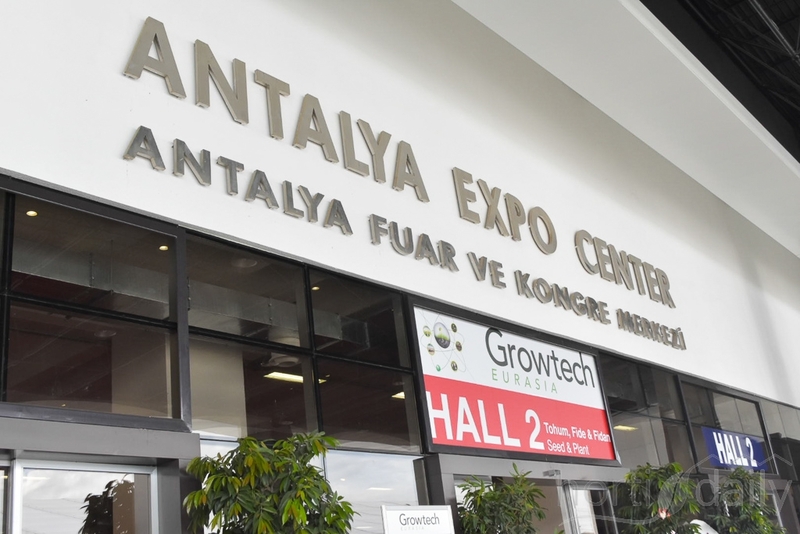 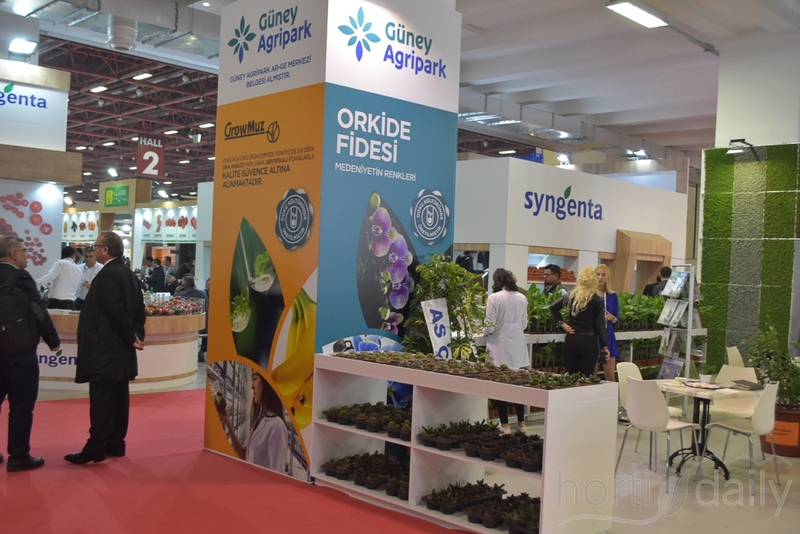 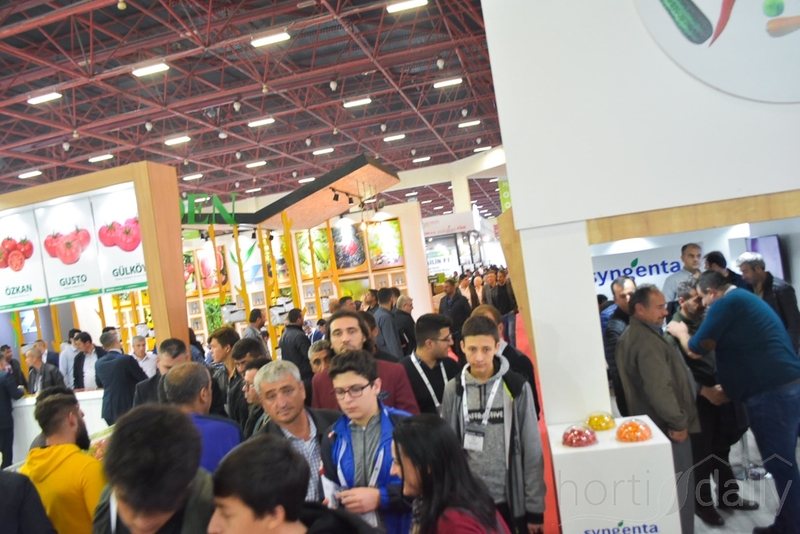 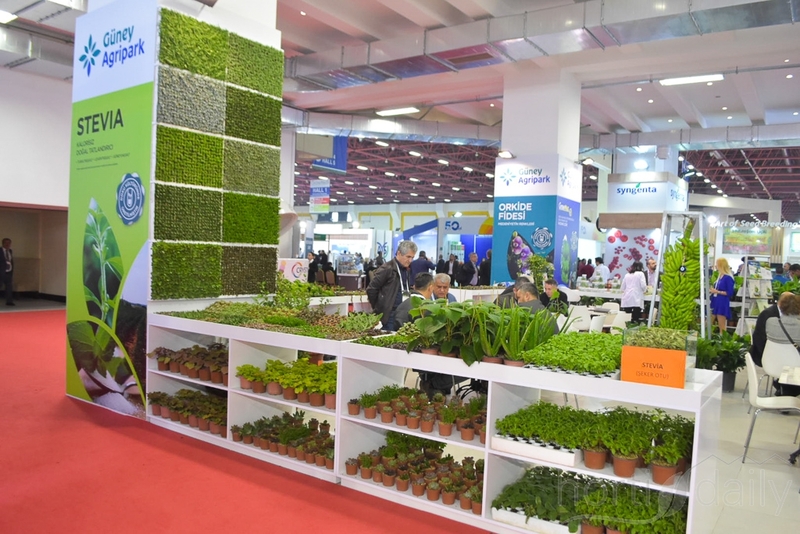 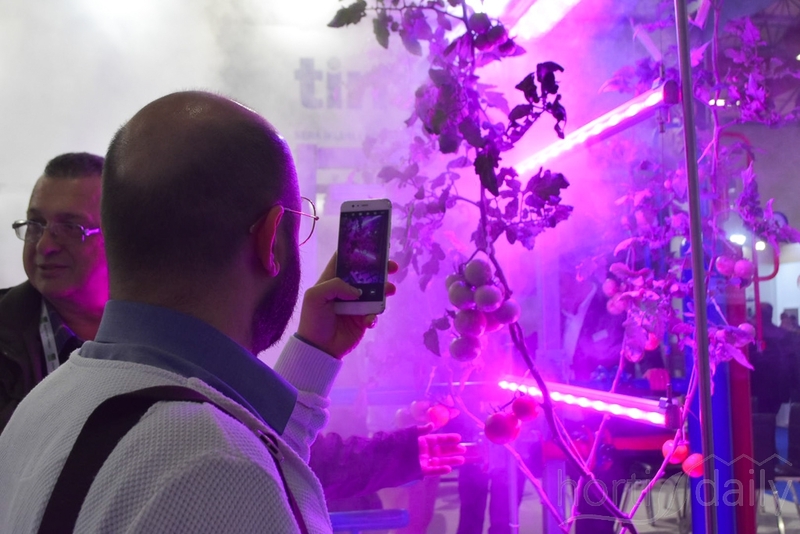 In the Turkish municipality Muratpaşa a greenhouse academy will be realised, since the local government is certain of the industries value for nowadays and the future. 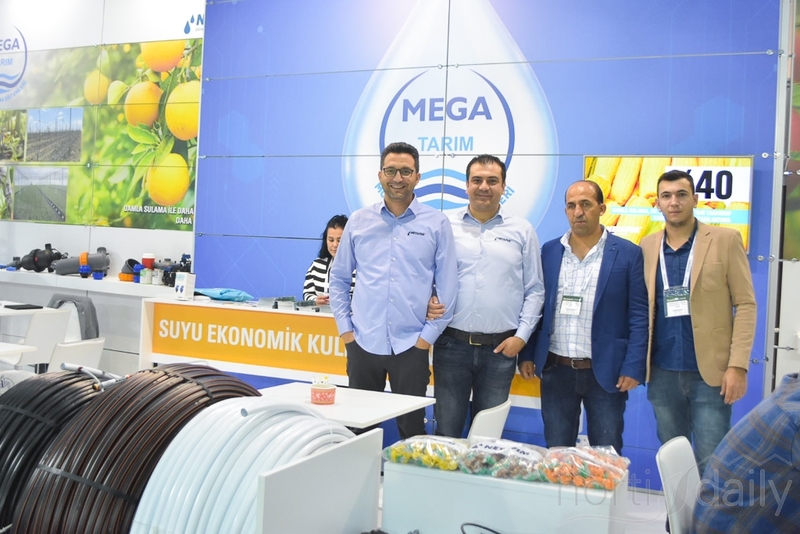 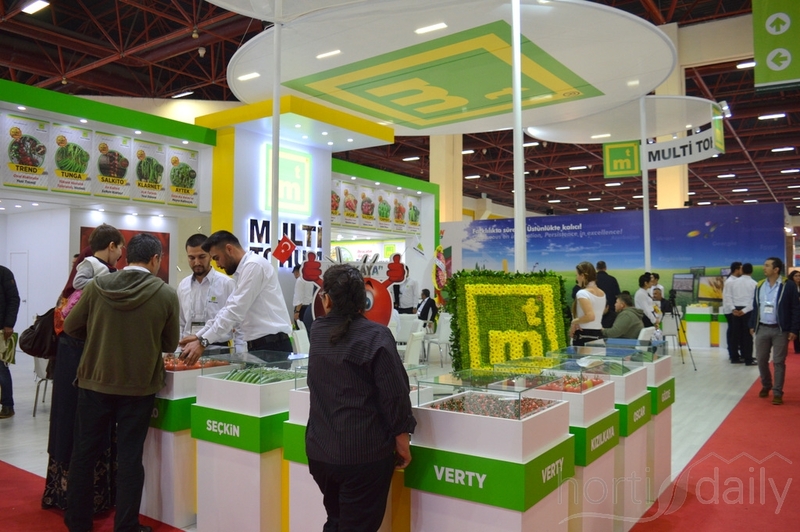 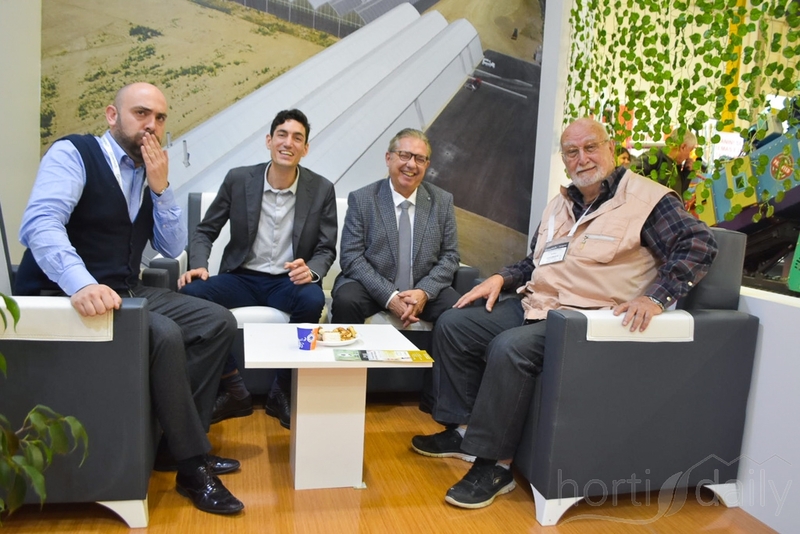 Mega Tarim is one of the partners of the Israeli company Netafim. 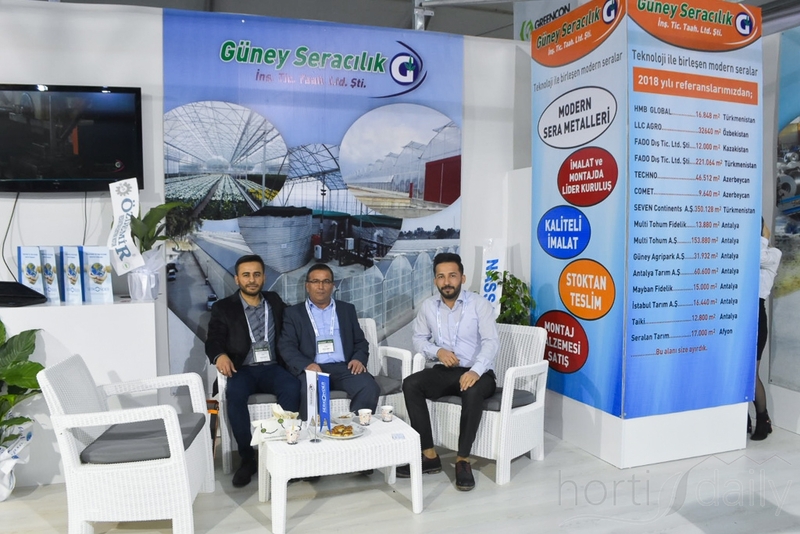 Mustafa Inceler, Erdogan Inceler & Serkan Inceler - you might have guessed Güney Seracilik is a family company. 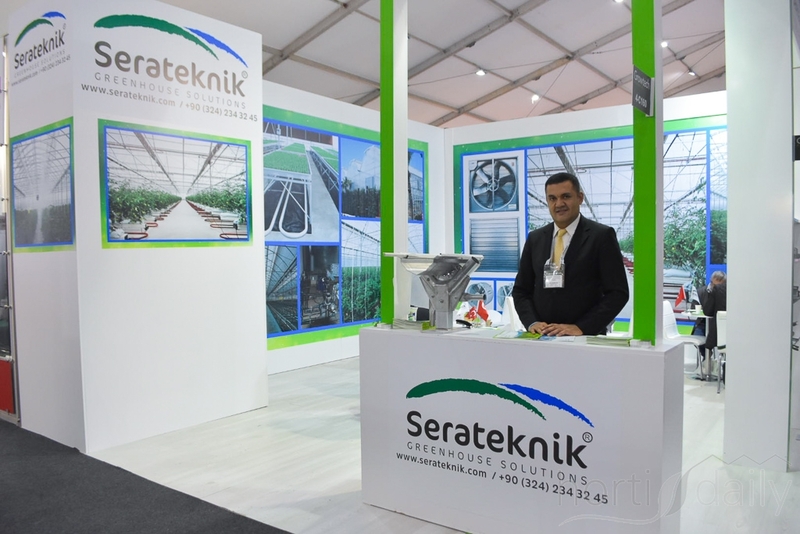 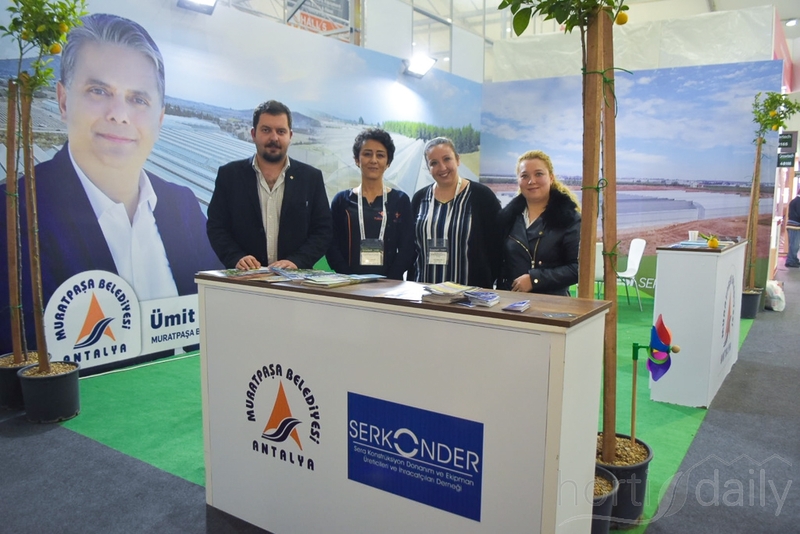 Serateknik is active in Central Asia - next year projects in Uzbekistan and Turkmenistan are planned. 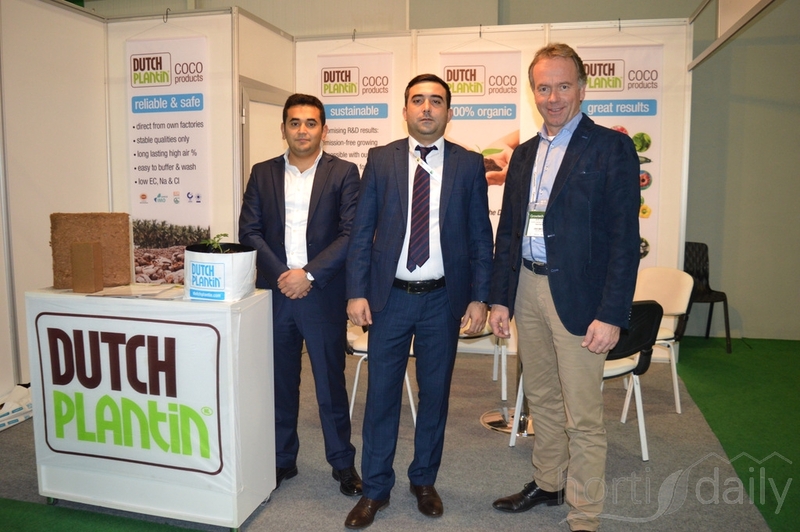 Wim Roosen of Dutch Plantin and their partner Grow Group Azerbaijan. 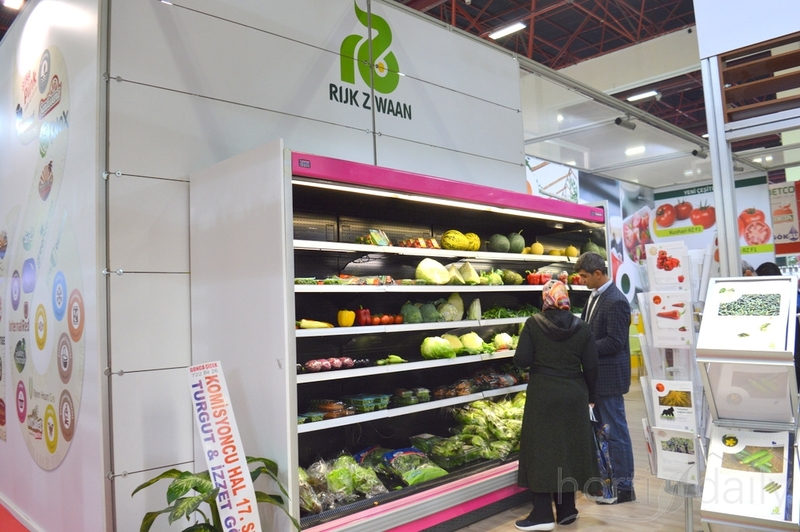 New in our photo reports but not new with Alumat Zeeman. 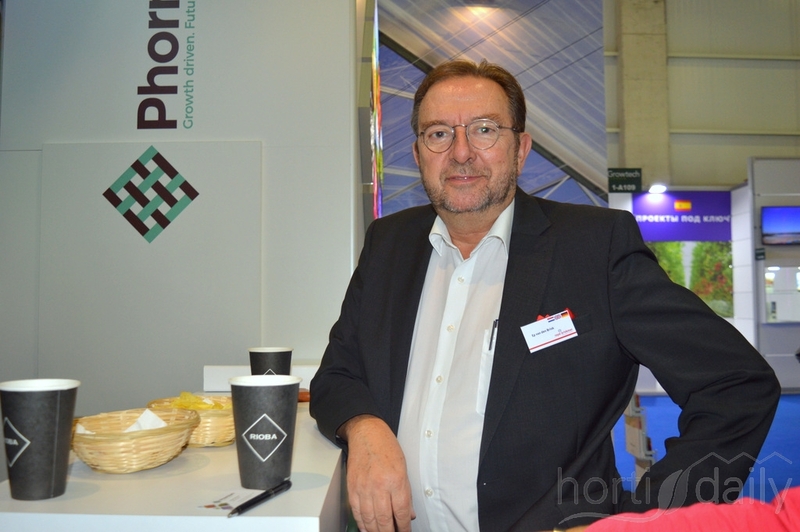 Is this a million dollar deal for Phormium? 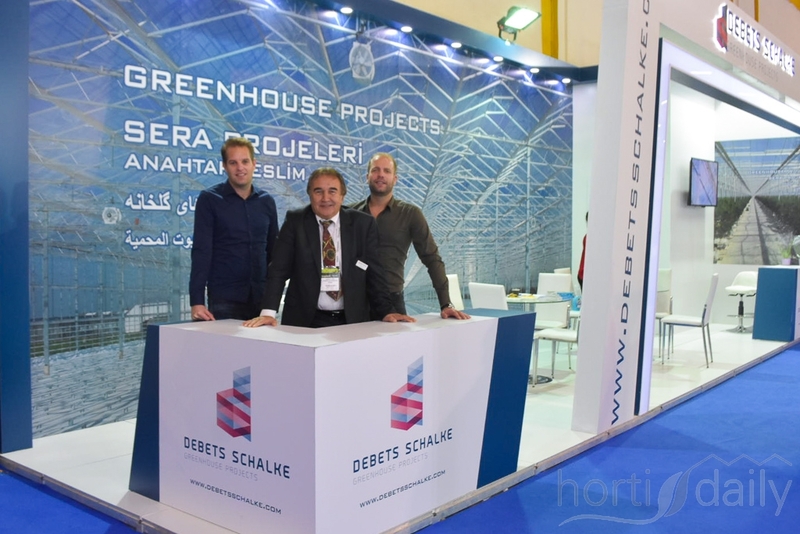 Is it another 30 hectare being sold? 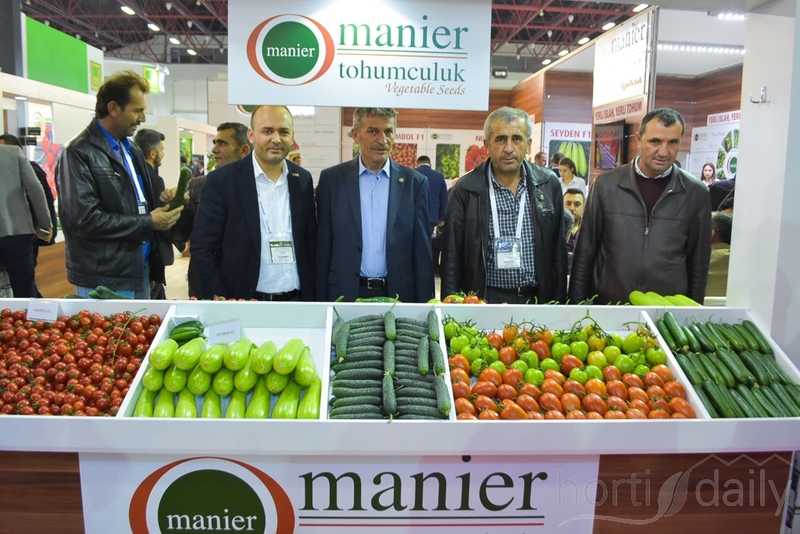 Or maybe it’s Peter Ollevier & Tayyar Erzurumlu, colleagues. 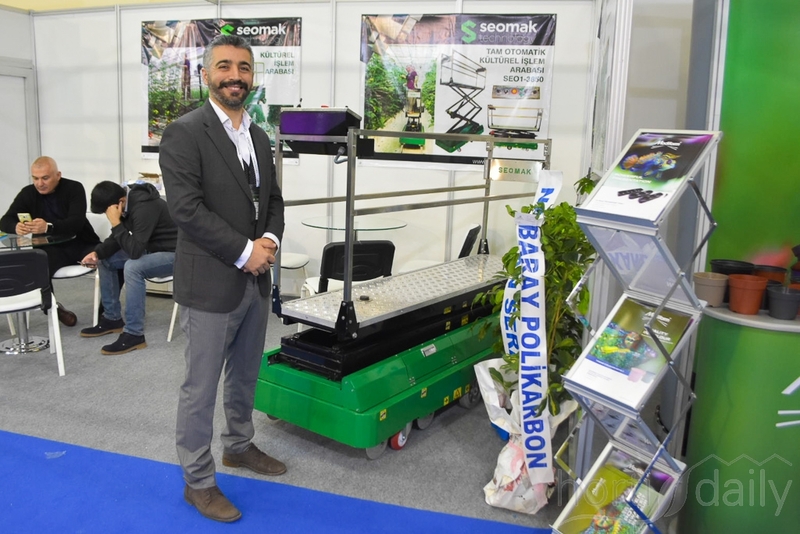 Ali Yalcin with Seomak Technology. 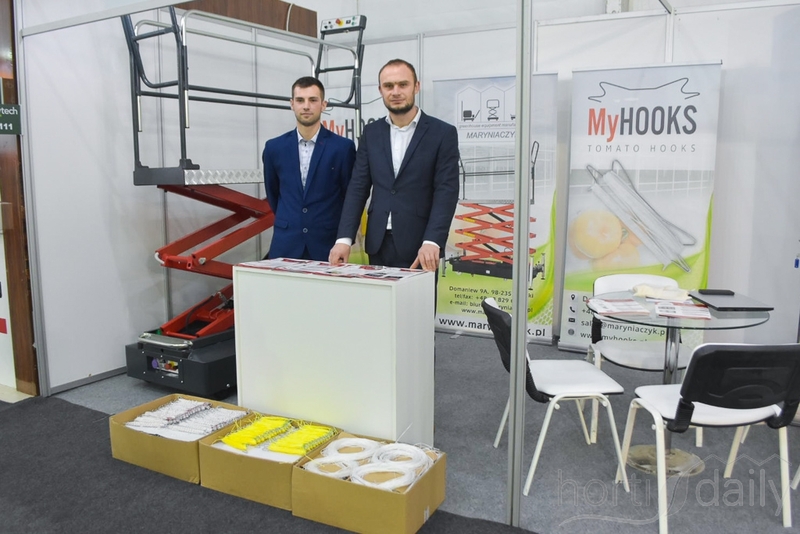 Their greenhouse carts are send out globally. 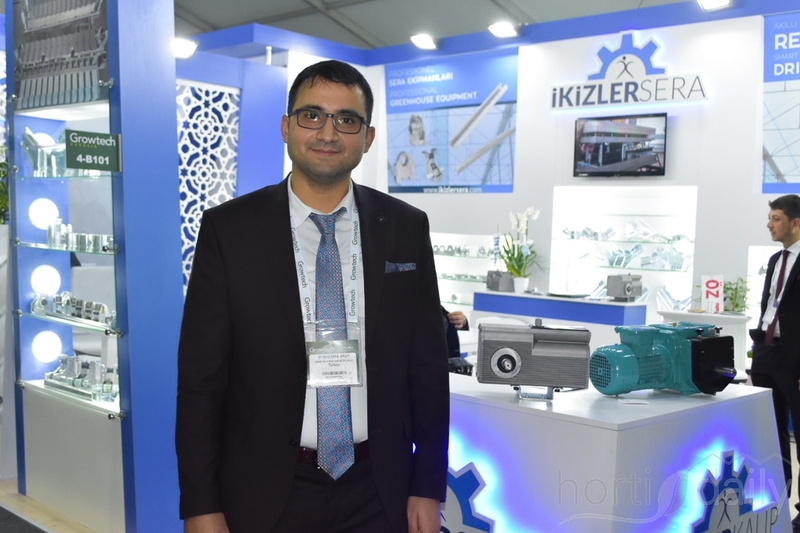 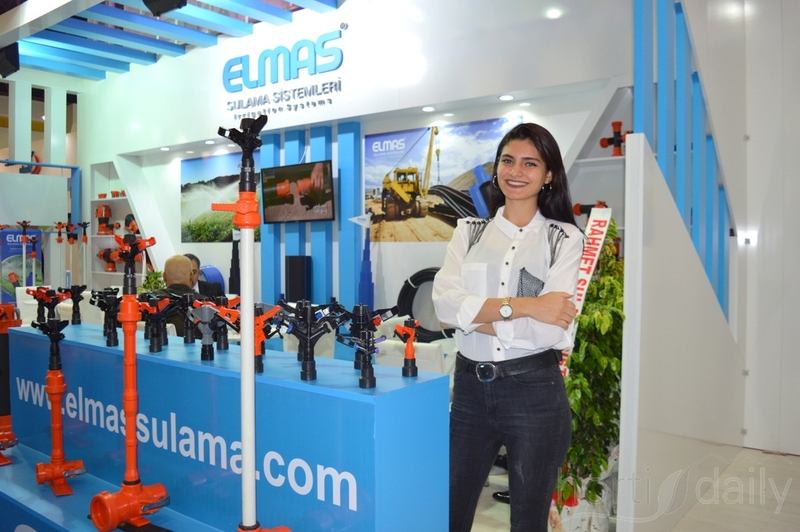 Mohsine Elkhanza is with KG Systems & is active in the Middle East. 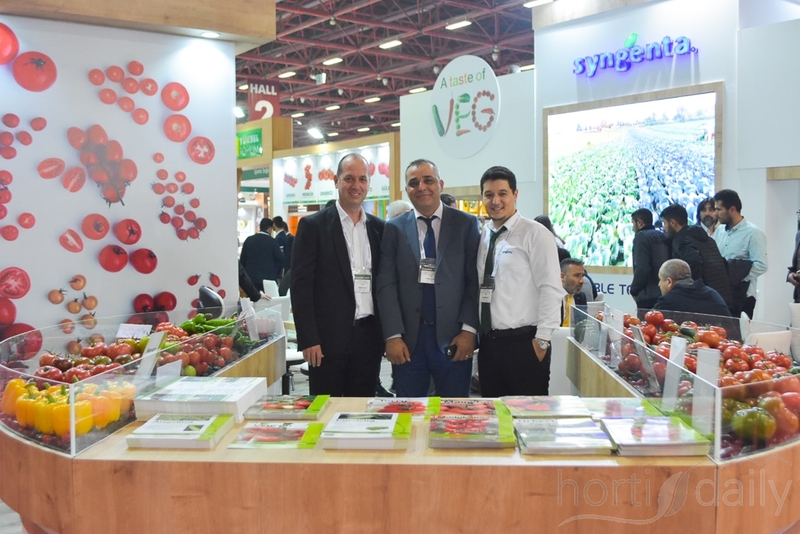 Part of the Syngenta team on a rare quiet moment! 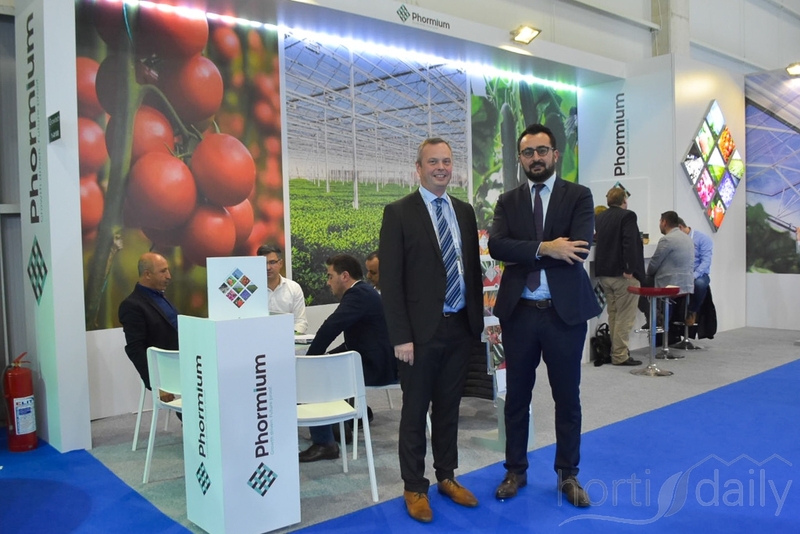 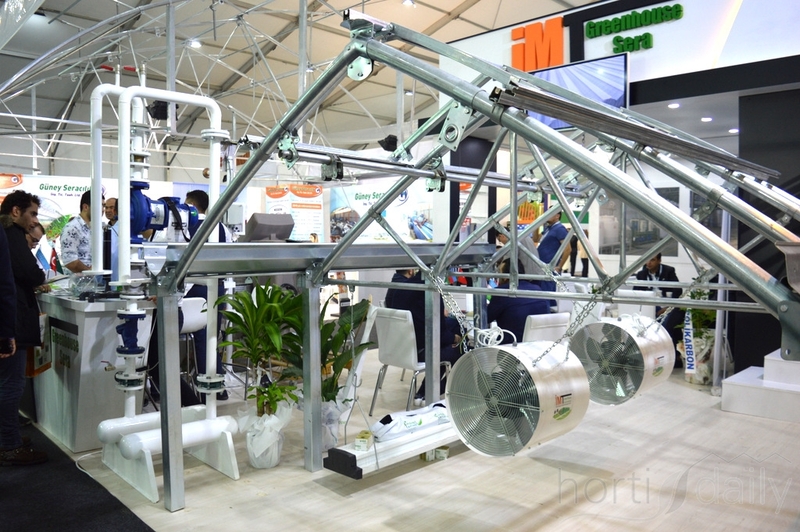 Royal Brinkman united with their suppliers to service both the Turkish growers as well as the ones in the surrounding countries. 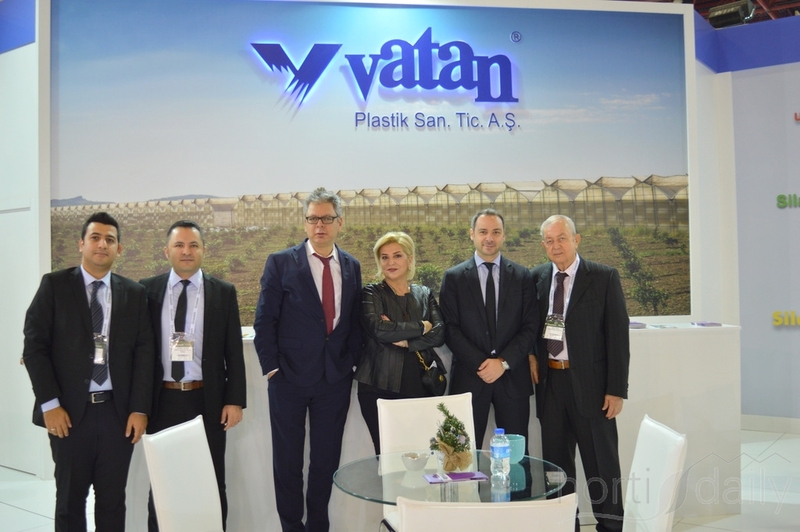 The team of Vatan Plastik. 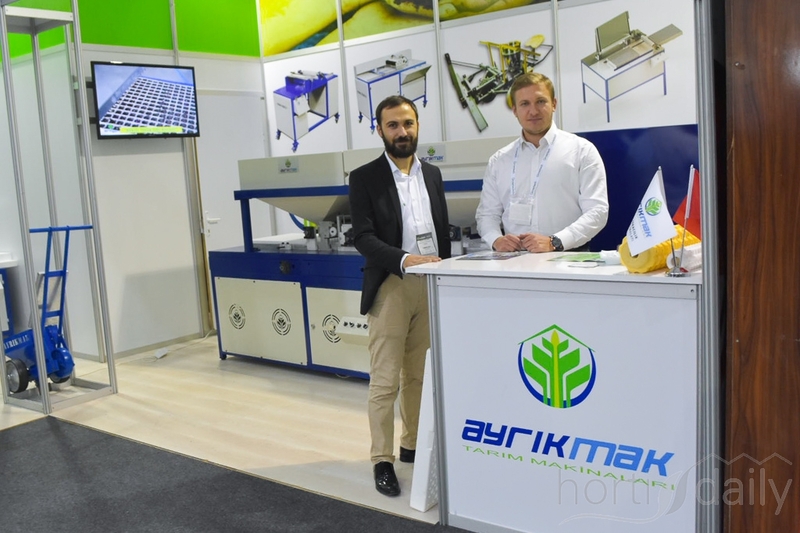 Abdulahad Bayhanov from Vural Plastik. 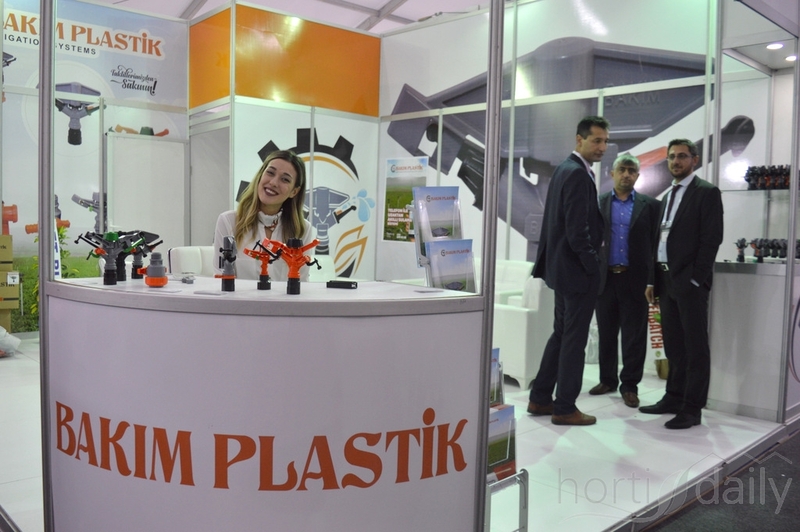 Deniz Erdogan and the hostesess of Inci plastik. 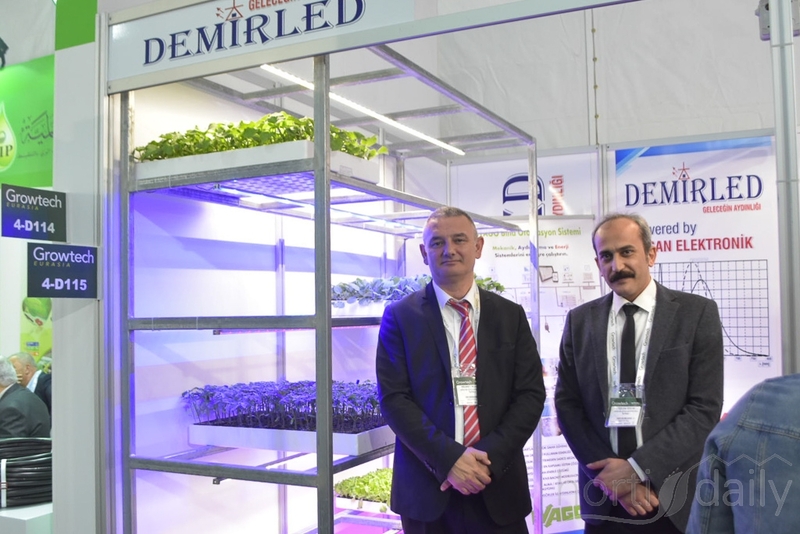 Ferhan and Ahmet of Karaca. 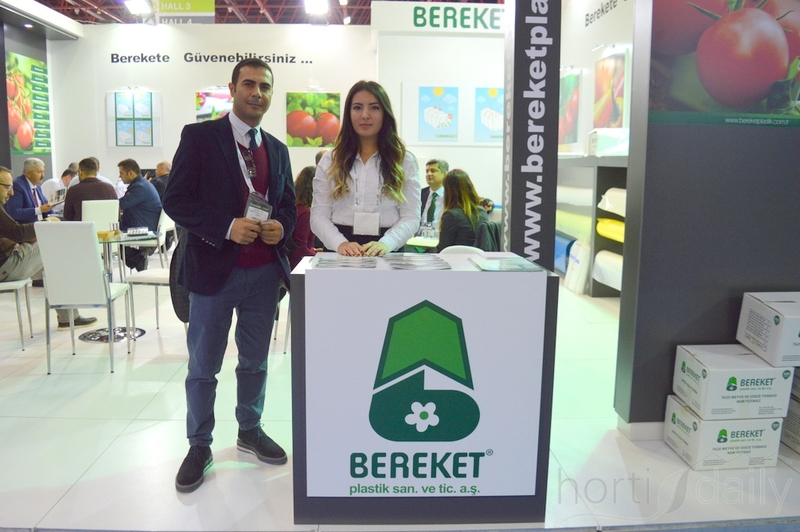 Özhan and Merve of Bereket Plastik. 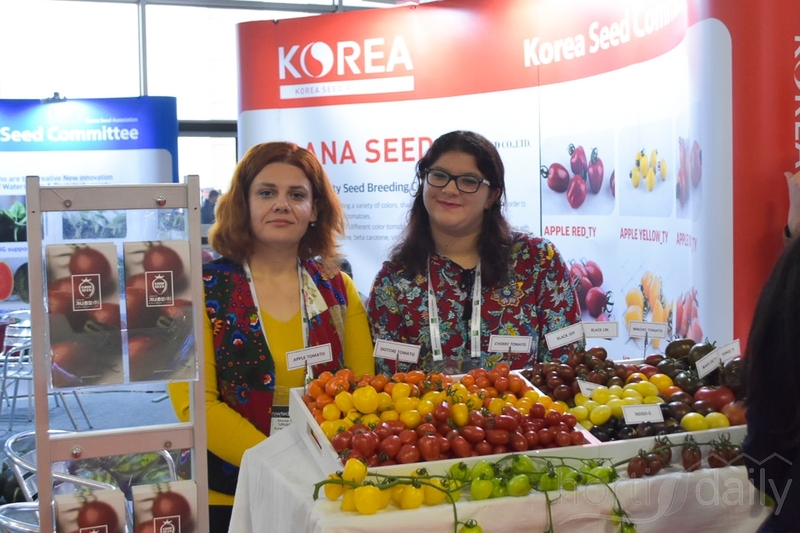 The lovely ladies of Konyalilar. 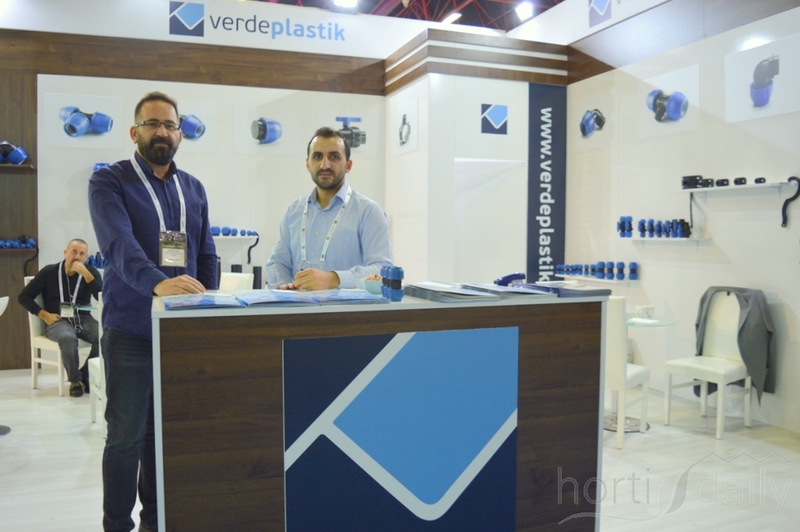 Hakan Tarakci and his colleague of Verde Plastik. 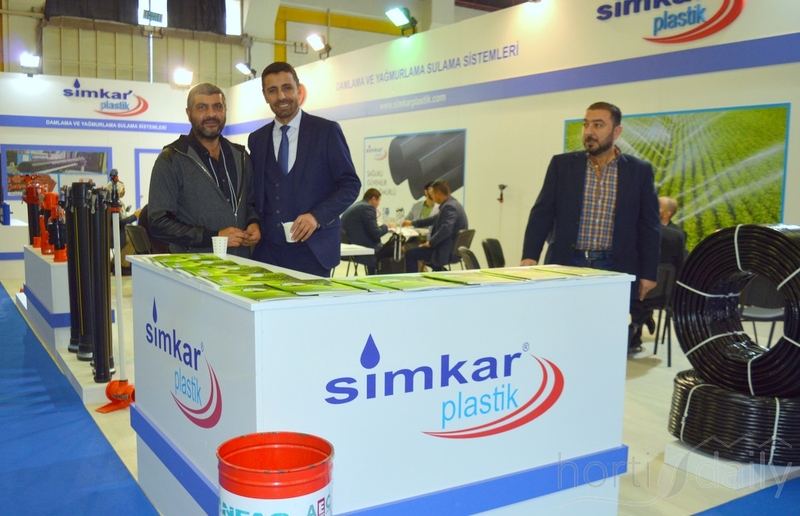 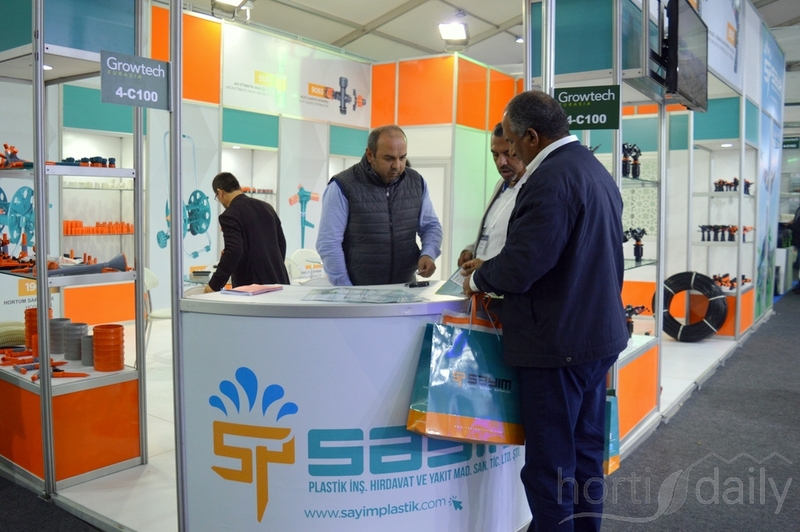 Mehmet Türker and his client of Simkar Plastik. 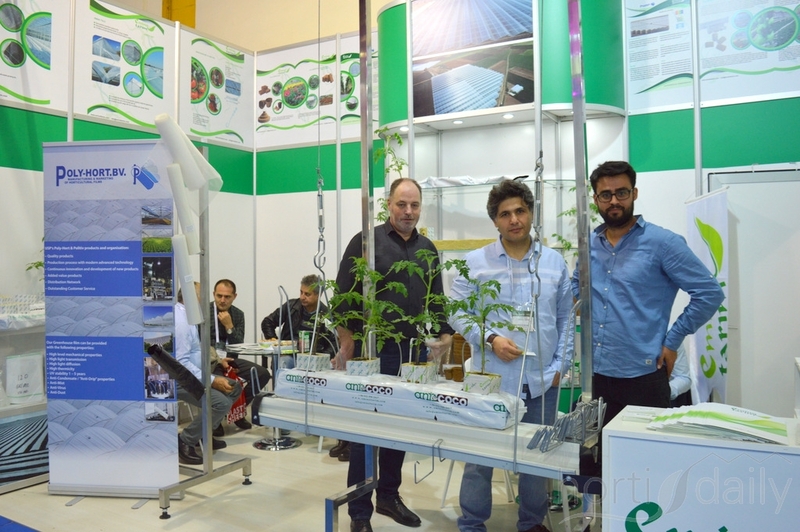 The team of Poly-Hort BV. 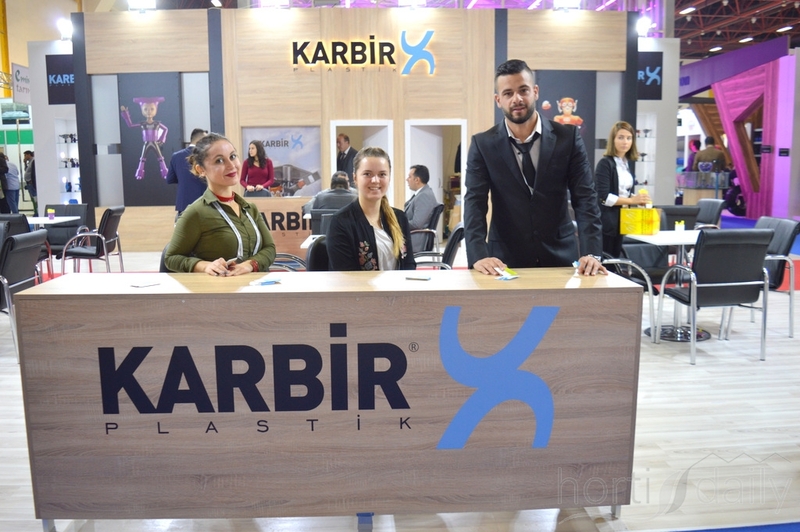 Nur, Guzel and Mahmut of Karbir Plastik. 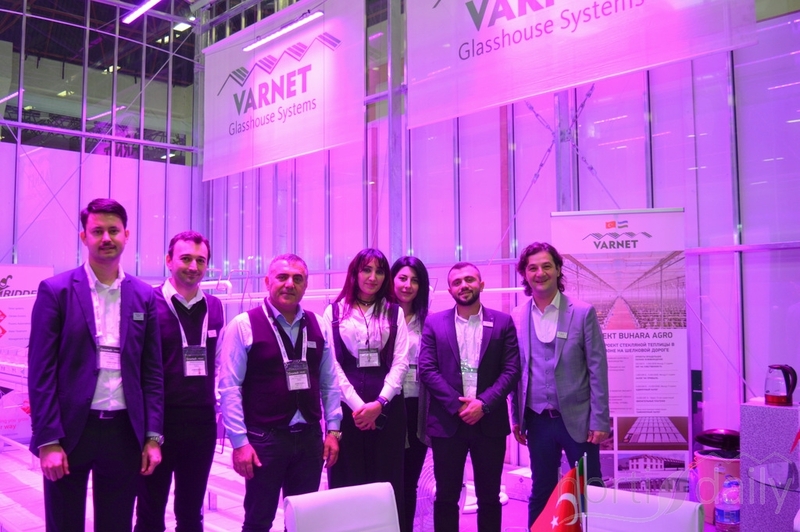 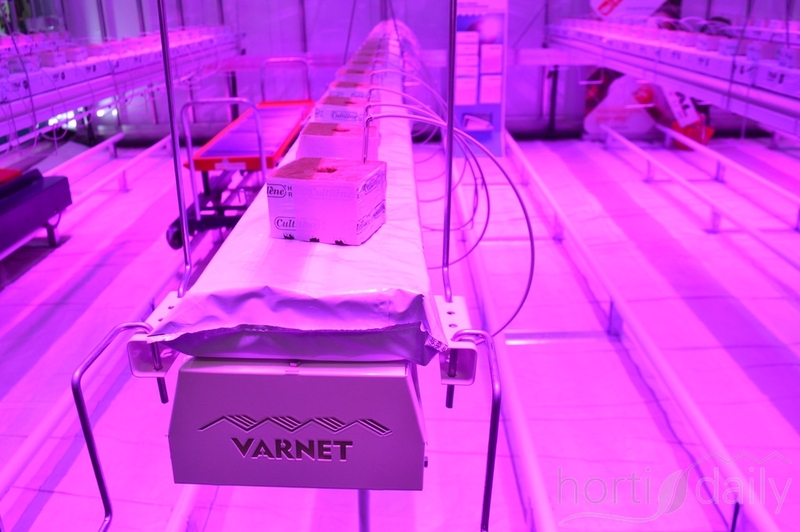 The team of Varnet in their greenhouse. 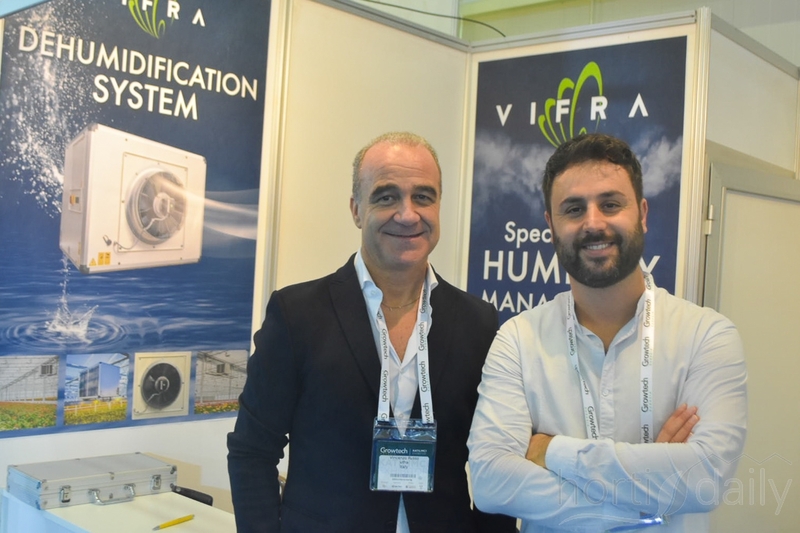 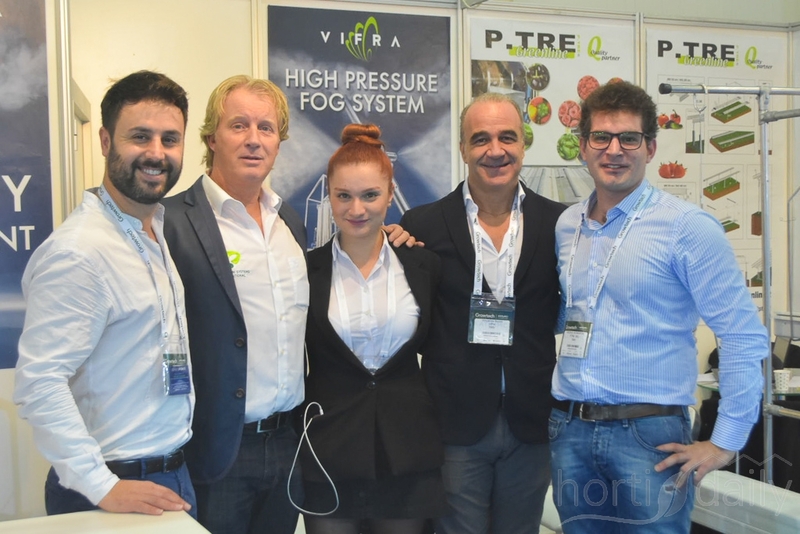 Vincenzo and Andrea of Vifra and P-TRE. 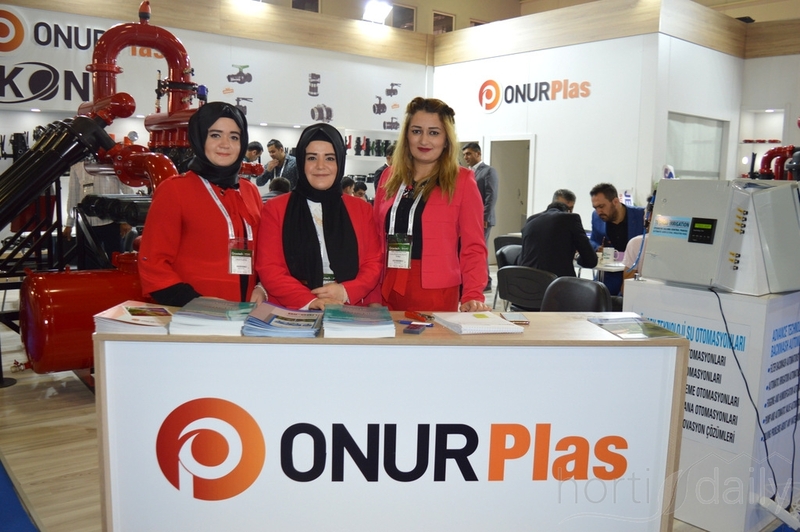 Plos, Mira and Naide of OnurPlas. 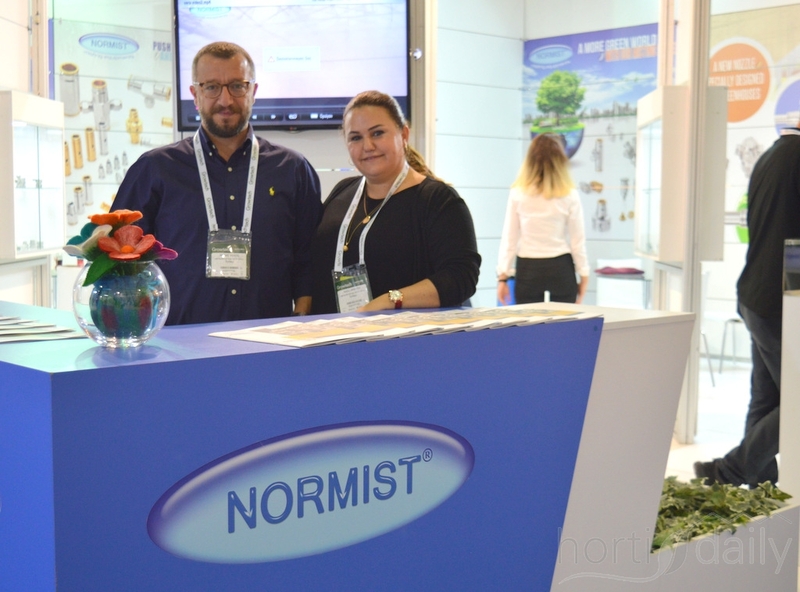 Murat and Nazli of Normist. 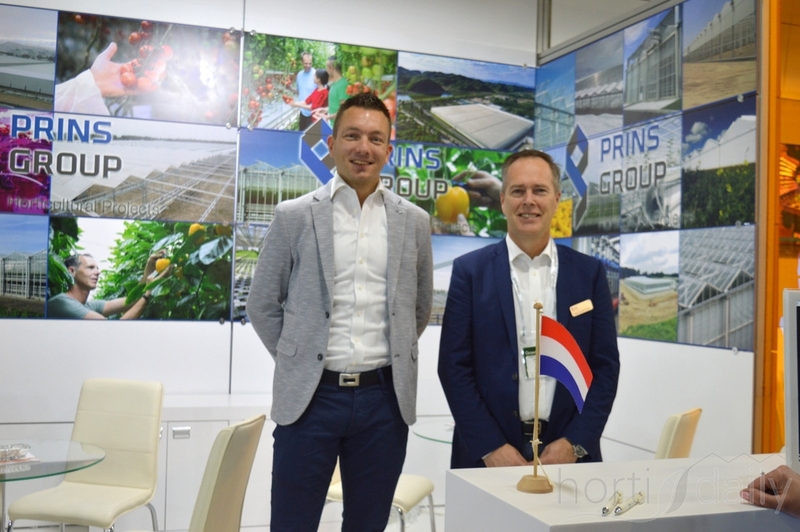 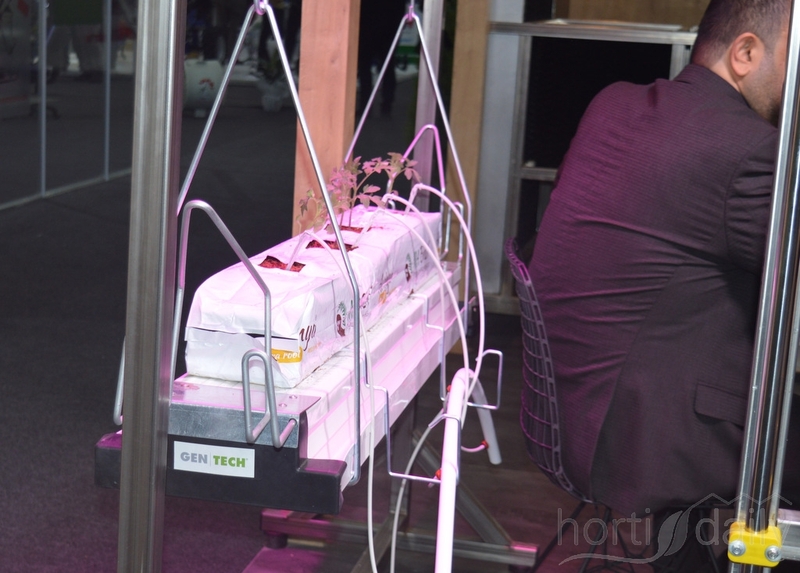 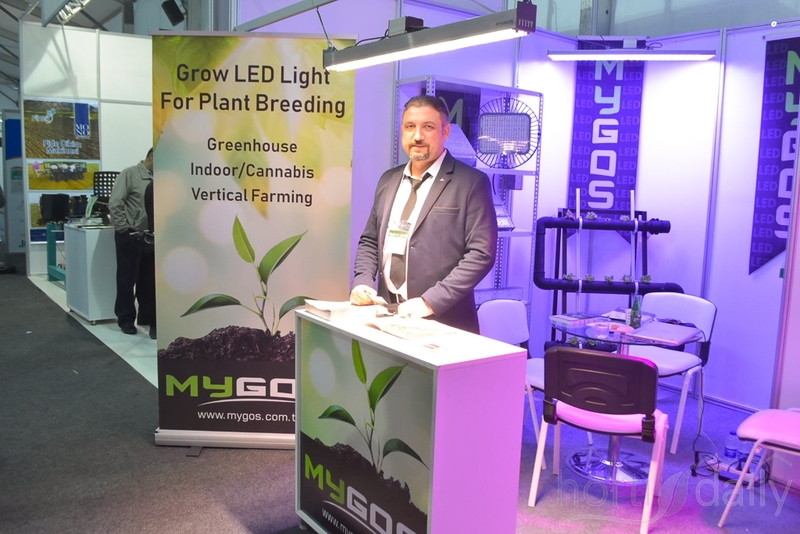 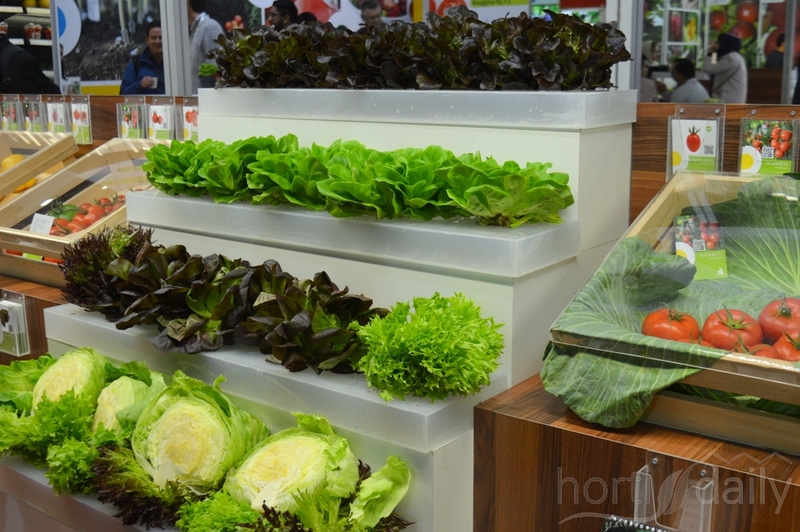 Steven van van Looveren was also visiting his clients of the Growtech. 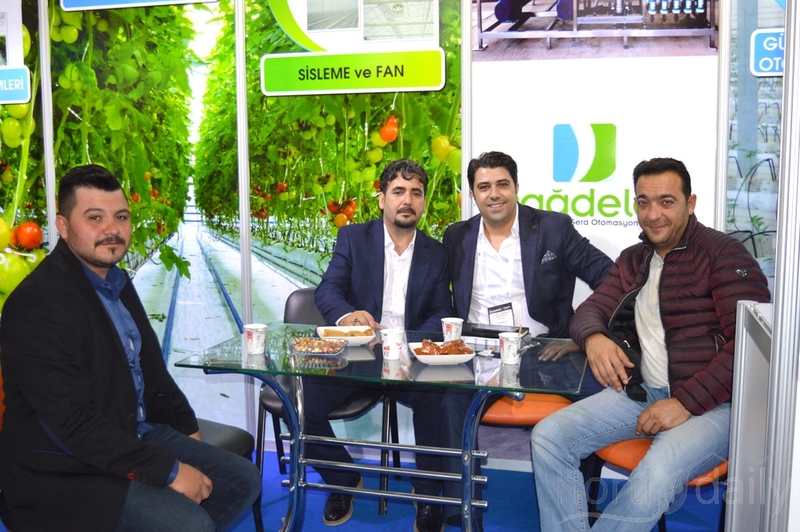 The team of Dagdelen Sera Sulama. 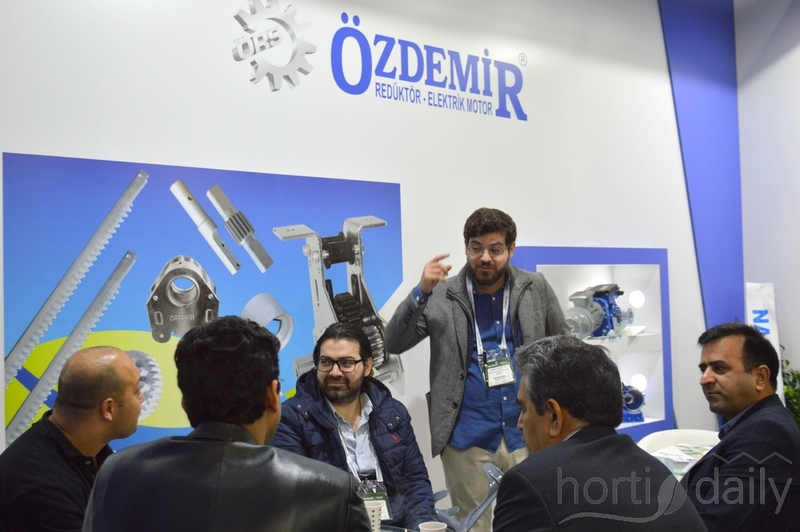 It was busy at the booth of Ozdemir. 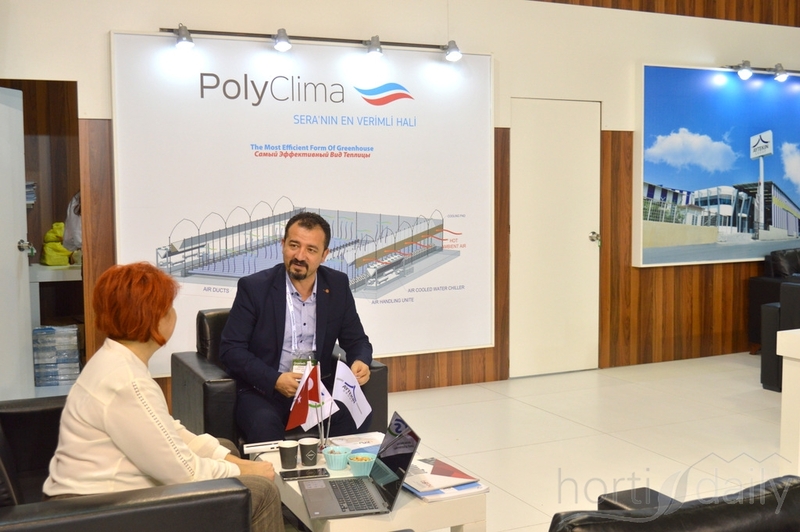 Doing business in the booth of PolyClima. 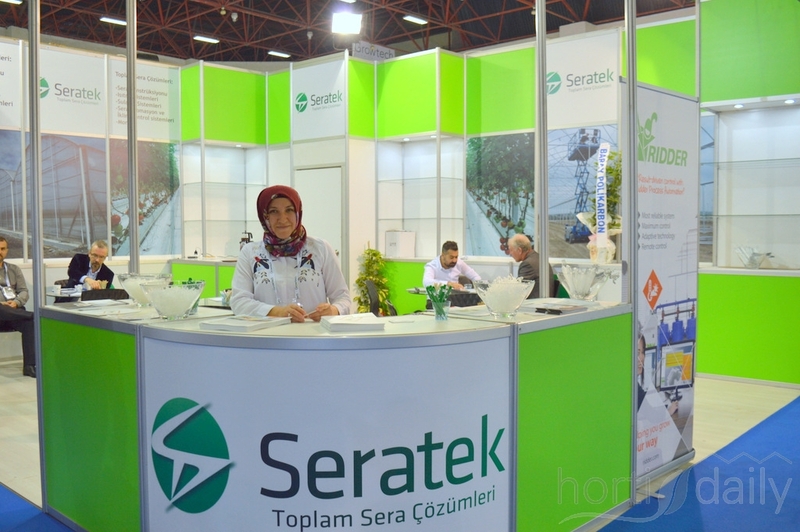 The lovely Zehra of Seratek. 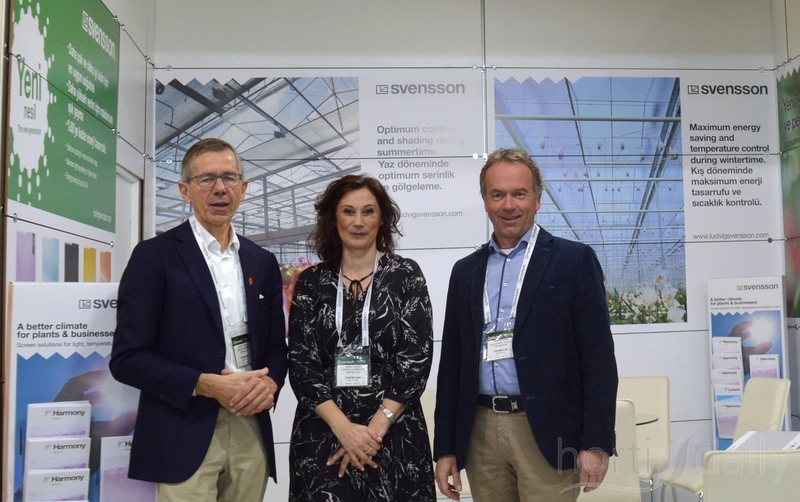 Hugo Plaisier, Sema Seviç of Svensson and Wim Roosen of Dutch Plantin. 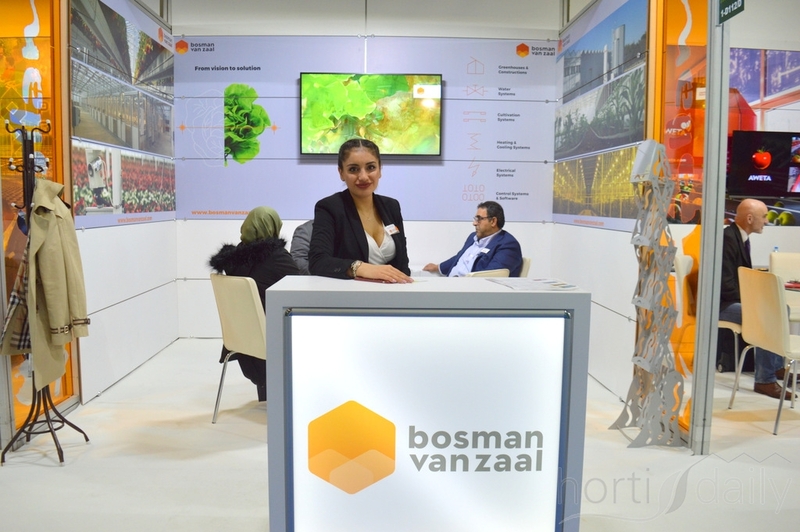 Yesim of Bosman van Zaal. 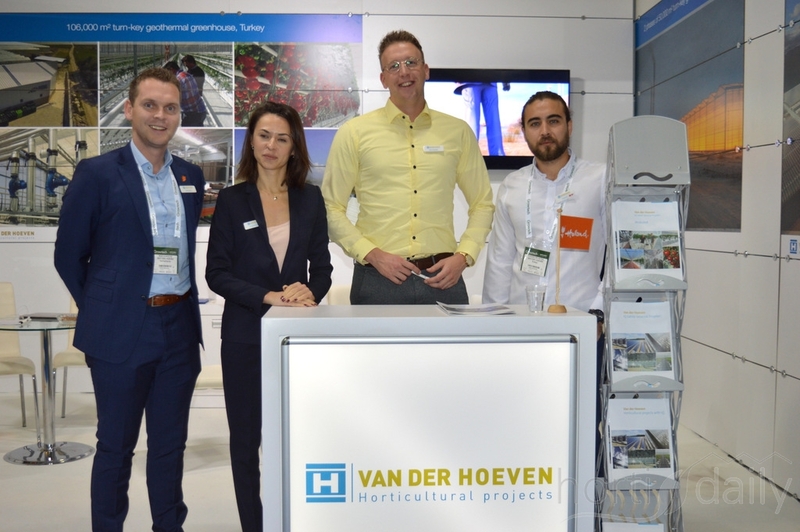 Bob, Bas, Anna and Dogancan of van der Hoeven. 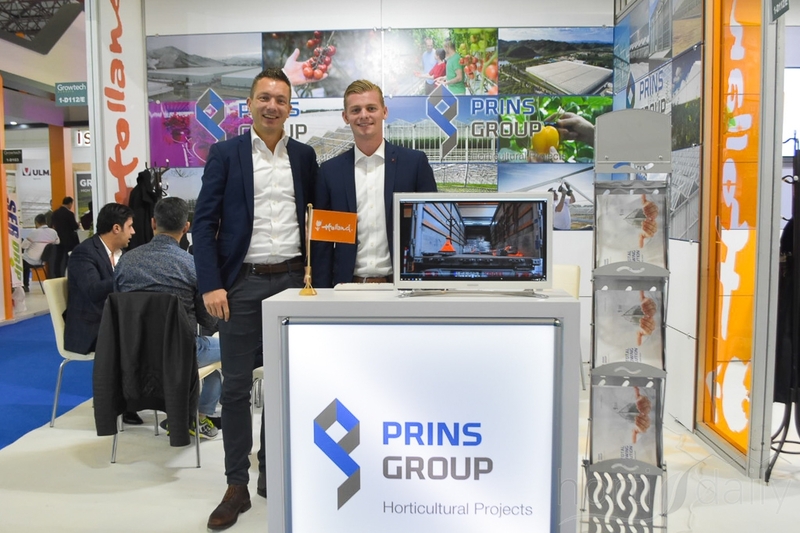 Marco Zwinkels and Arjan van der Klaauw of Prins Group. 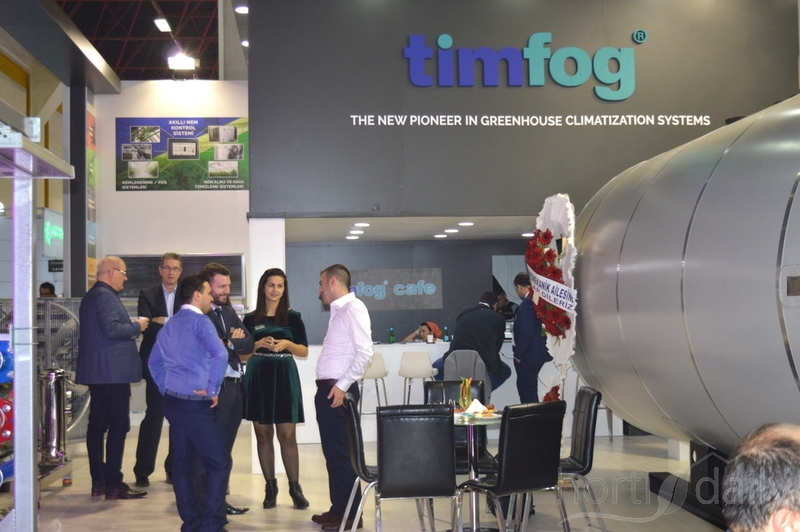 Busy at the booth of Timfog. 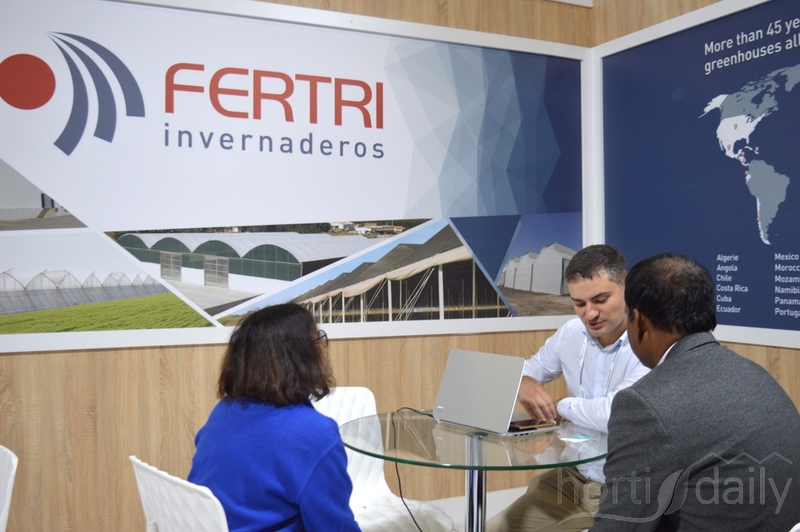 Tomás Pernas is busy at the booth of Fertri Invernaderos. 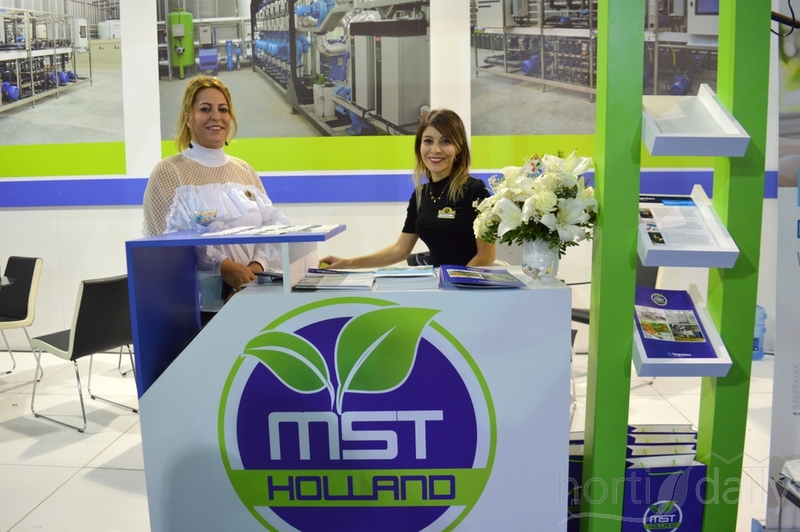 Meran Bilgin and Ayse Erkoc of MST Holland. 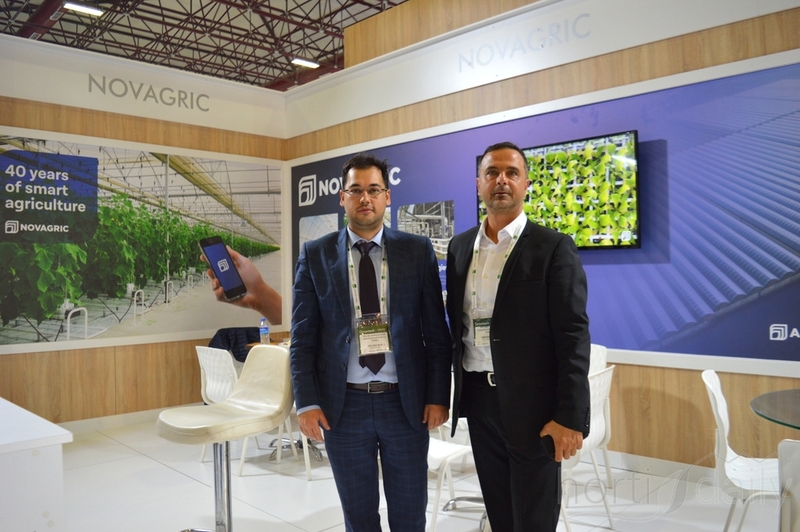 Erhan and Samuel of Novagric. 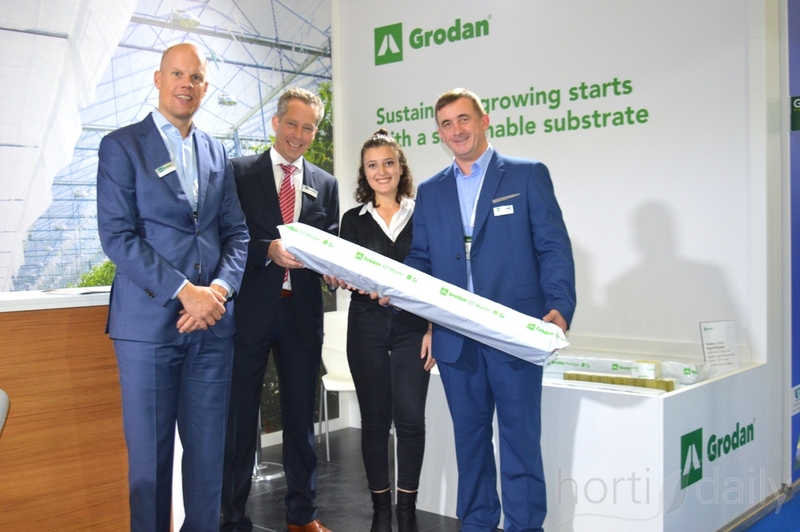 Niels Mathlener and Vincent Kuijenhoven and their colleagues of Grodan. 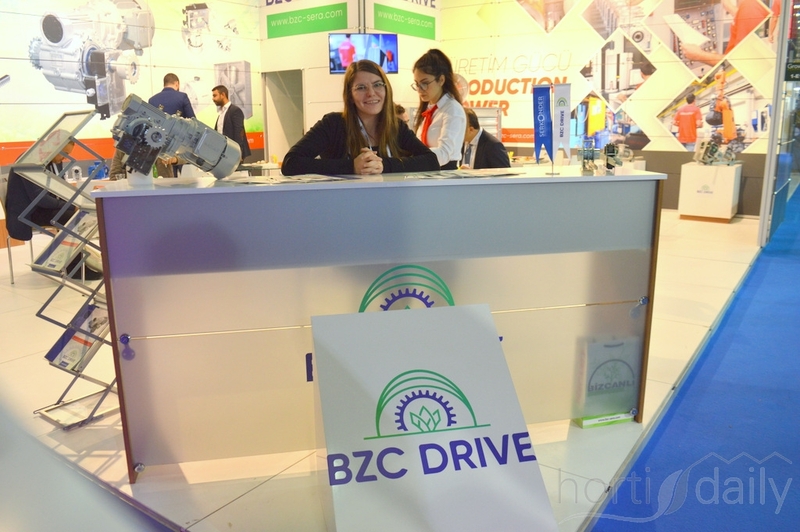 Asena Ulker of BZC Drive. 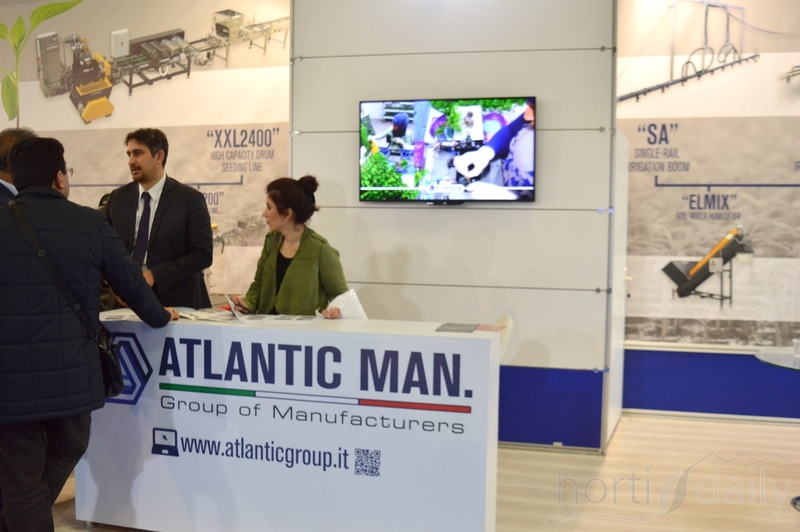 Busy at the booth of Atlantic Man. 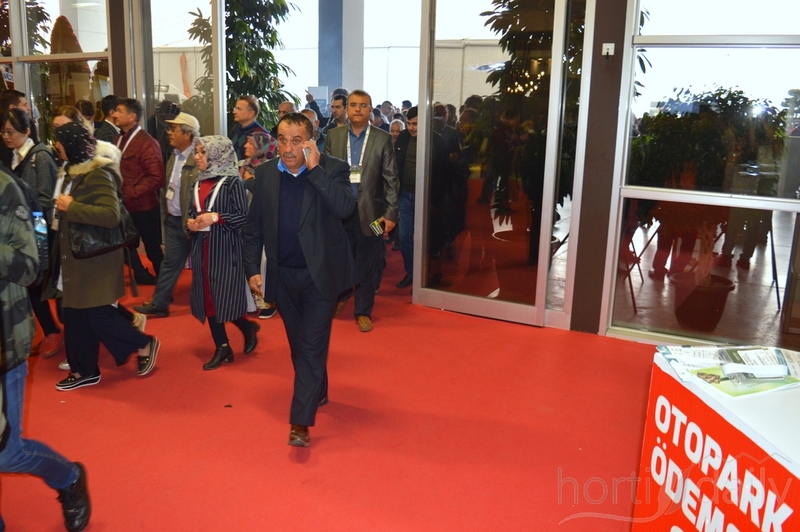 Quite a few people trying to enter! 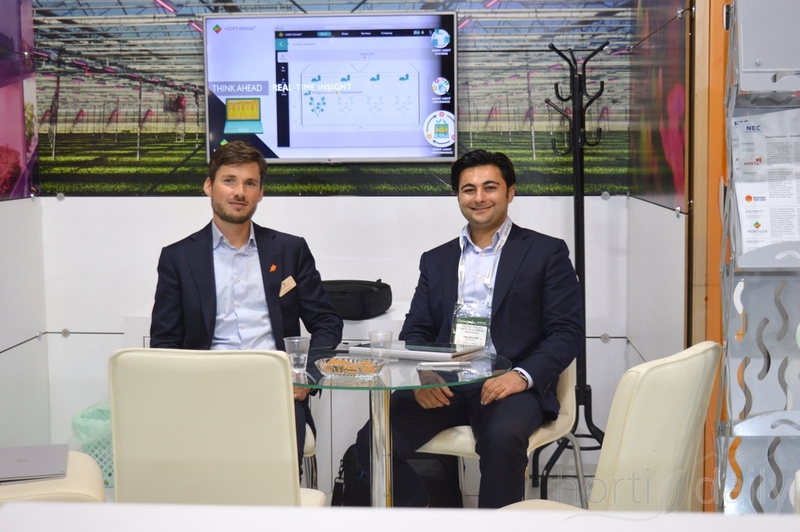 Fréderic Fernandes and Mustafa of Roam Technology. 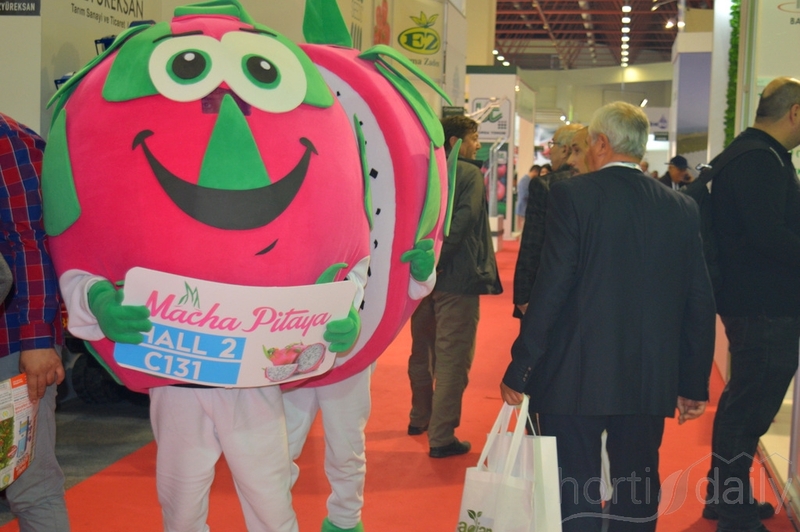 Sajeer Pookunji of Coconut Products. 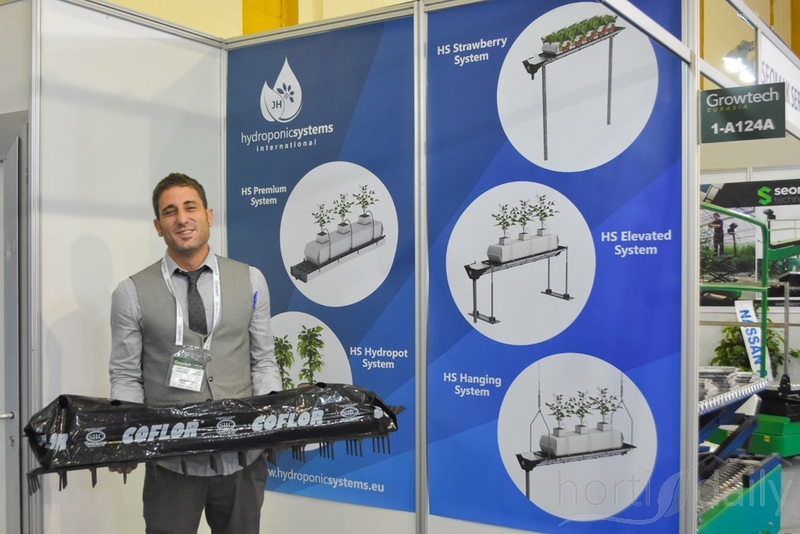 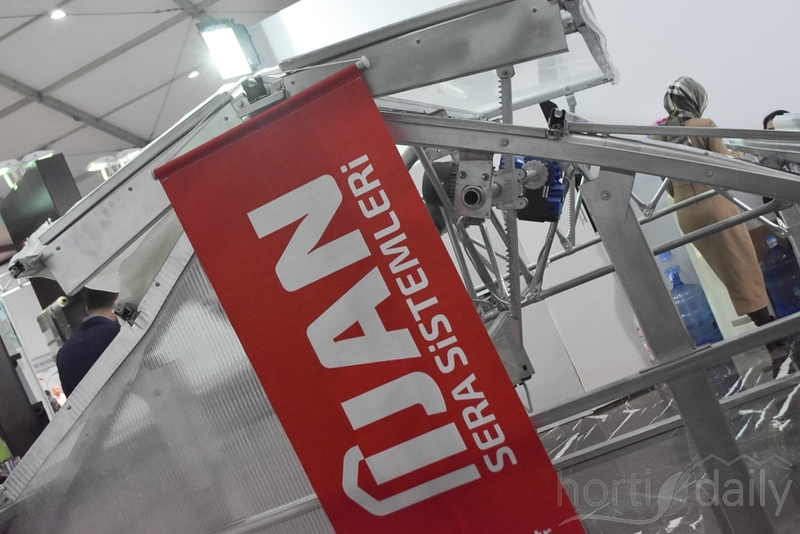 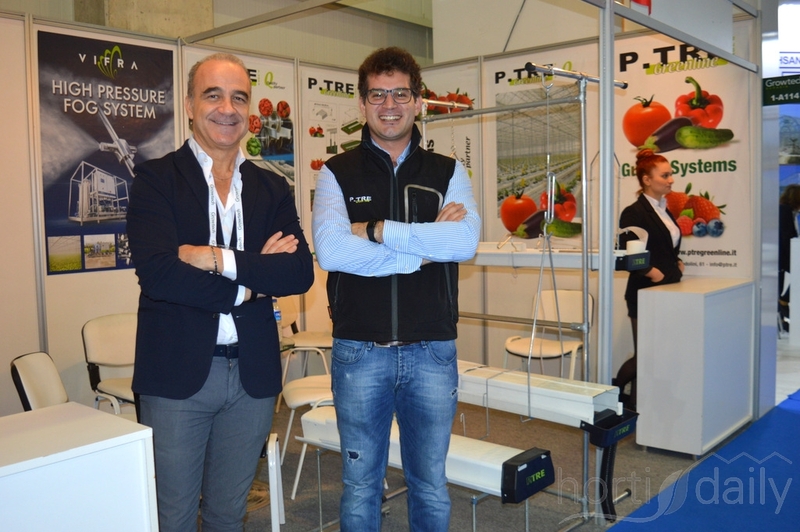 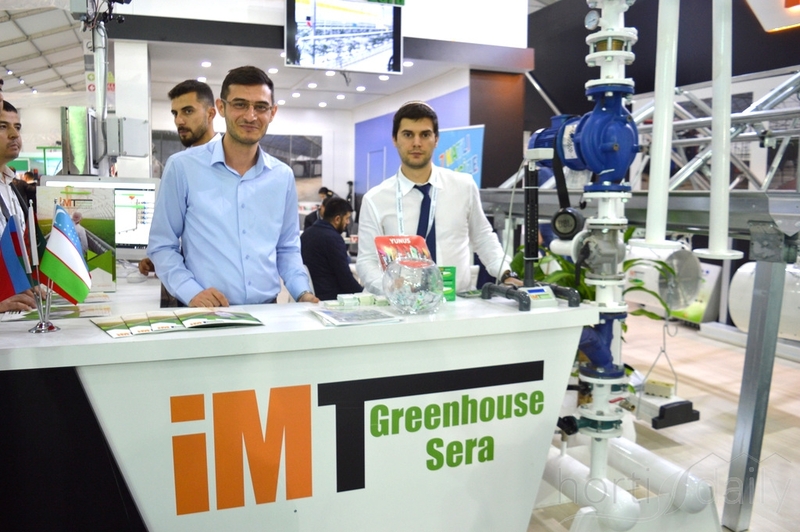 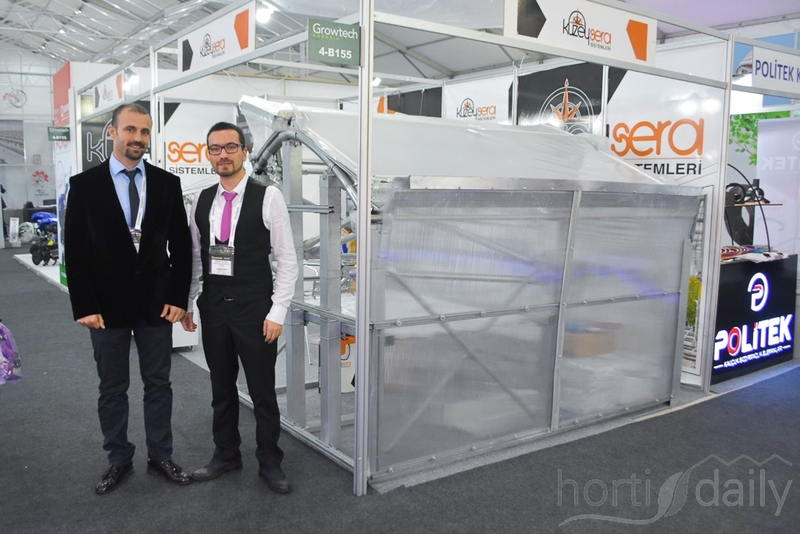 Enes and Sercan of IMT Greenhouse Automation. 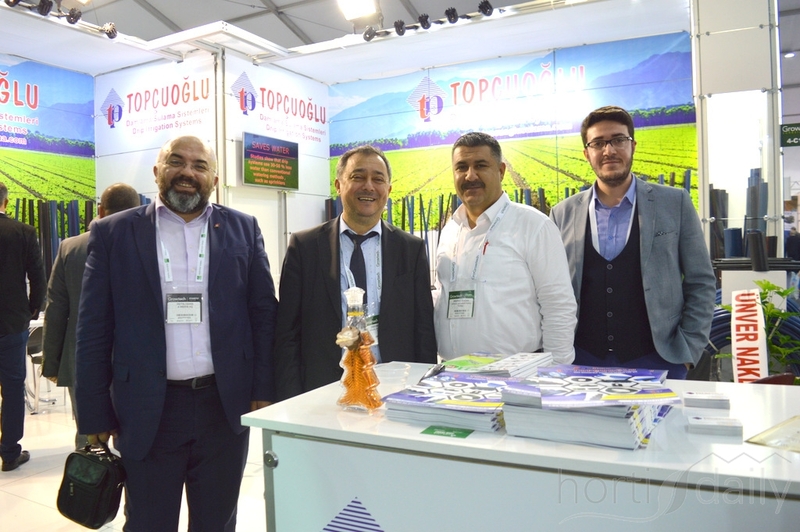 Metin, Serdar, Mehmet and Ahmet of Topçuoglu. 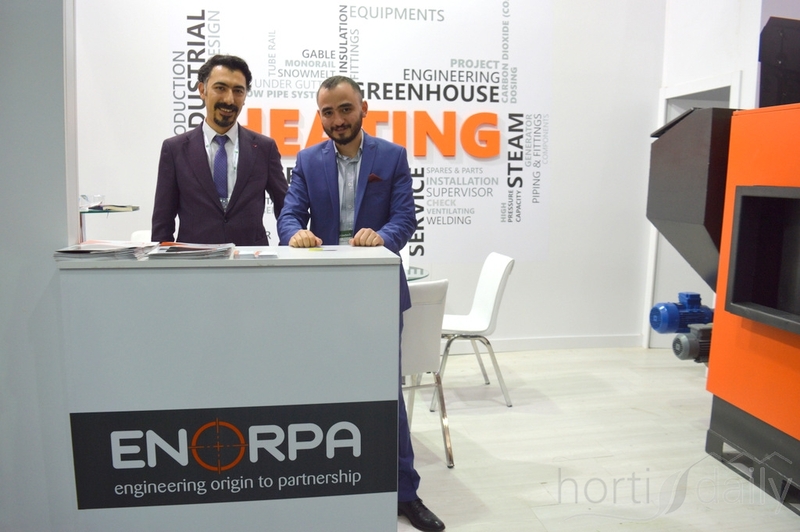 Bulut and Ugur of Enorpa. 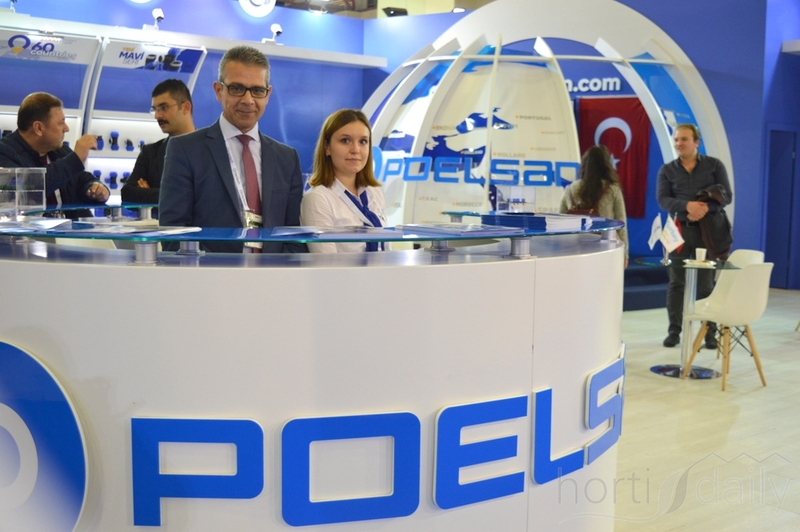 Hakan and Ceylan of Poelsan. 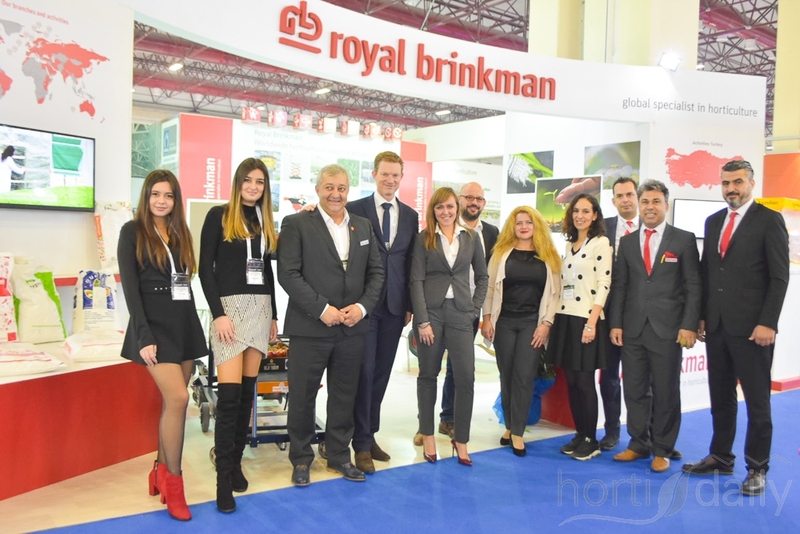 Ep van den Brink van Royal Brinkman. 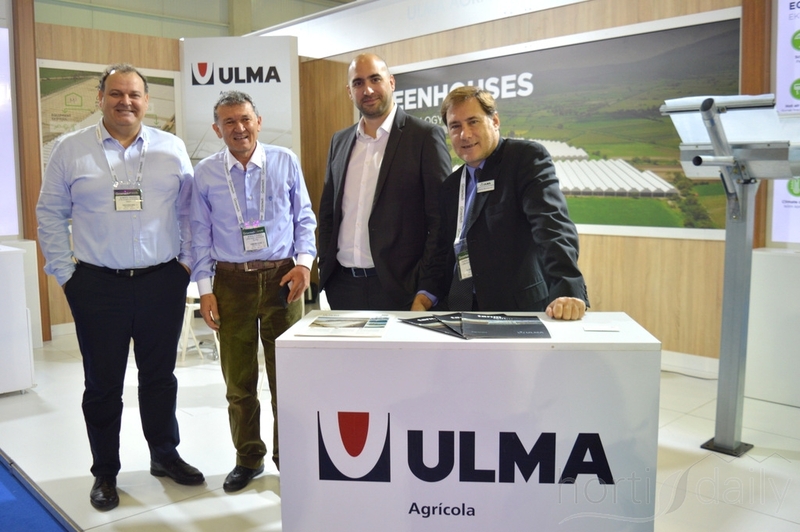 The team of Ulma Agrícola. 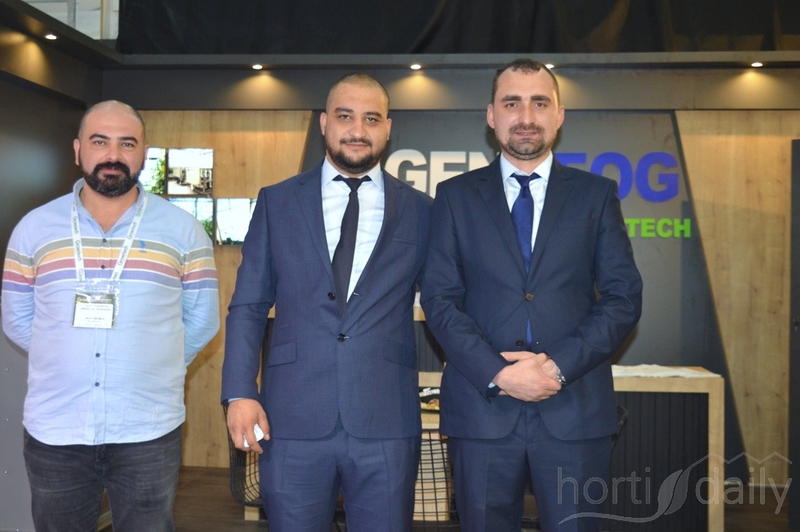 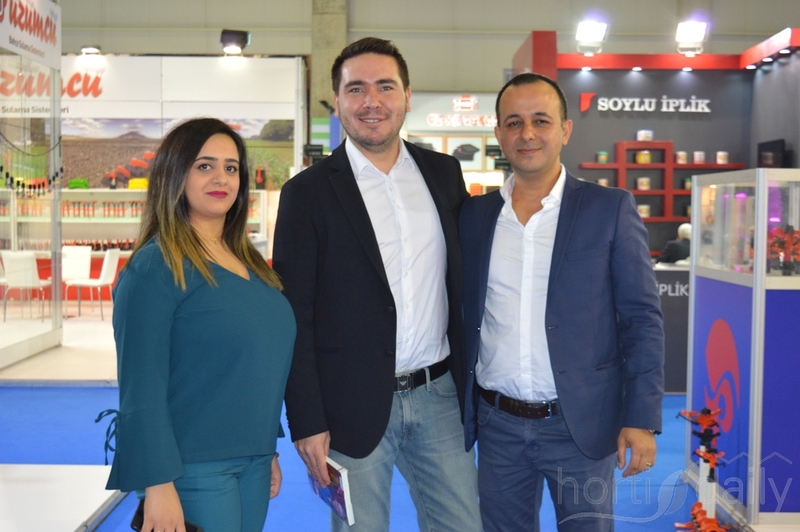 Gohkan, Ramazan and Sabina of Fogsis, they were just visiting their dealers. 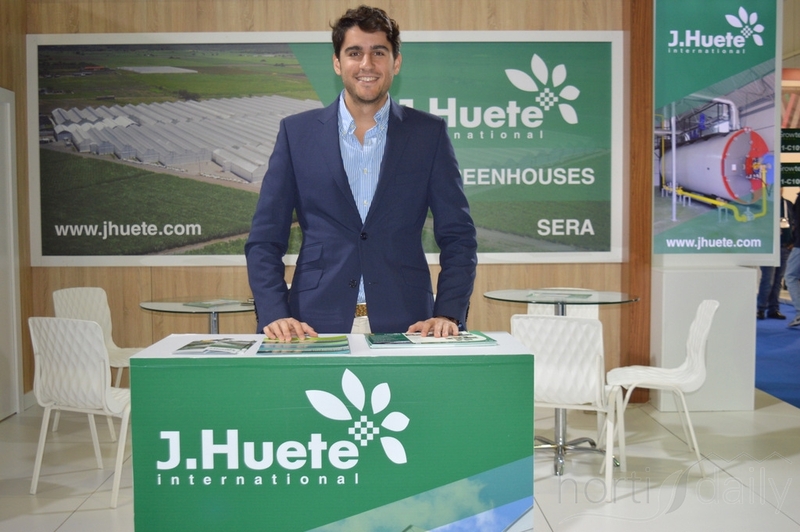 Javier Huete Lázaro of J. Huete International. 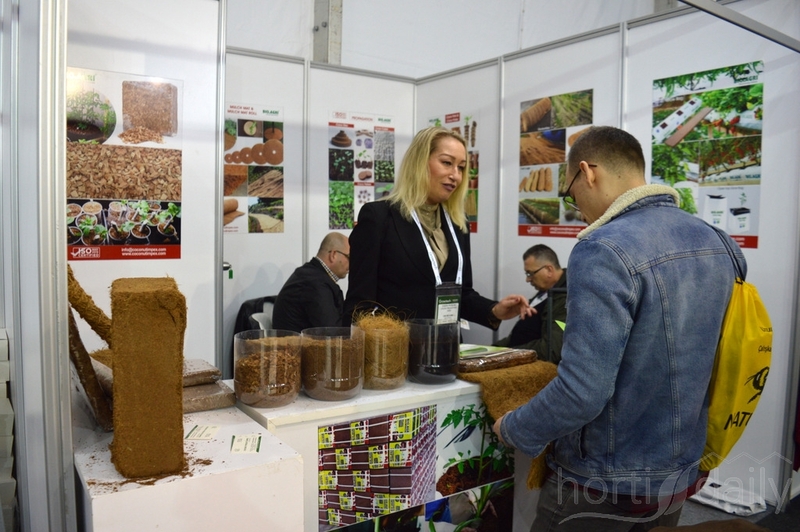 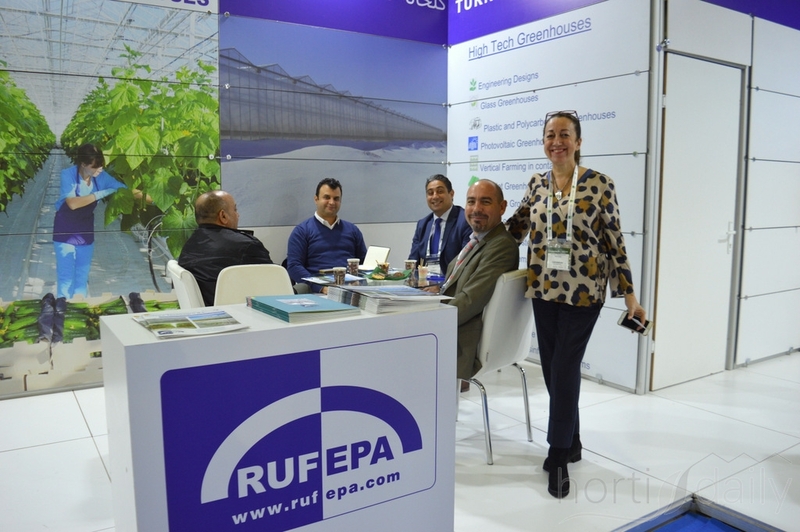 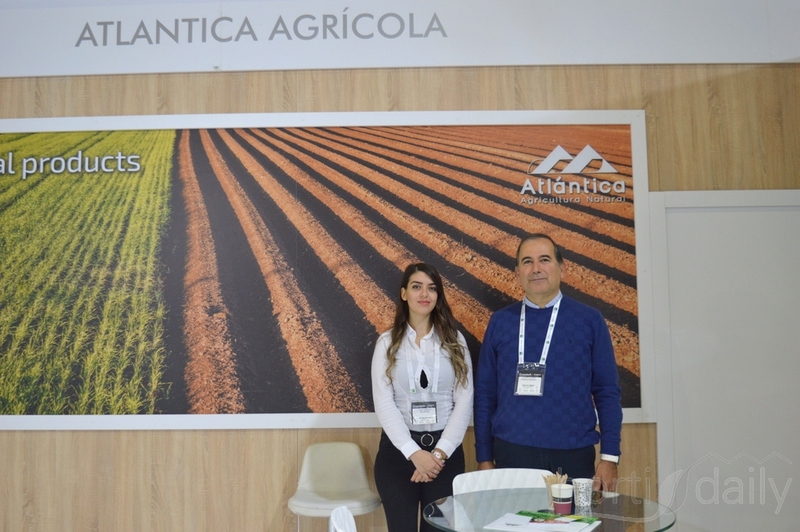 Ozge and Durmus of Atlantica Agricultura Natural. 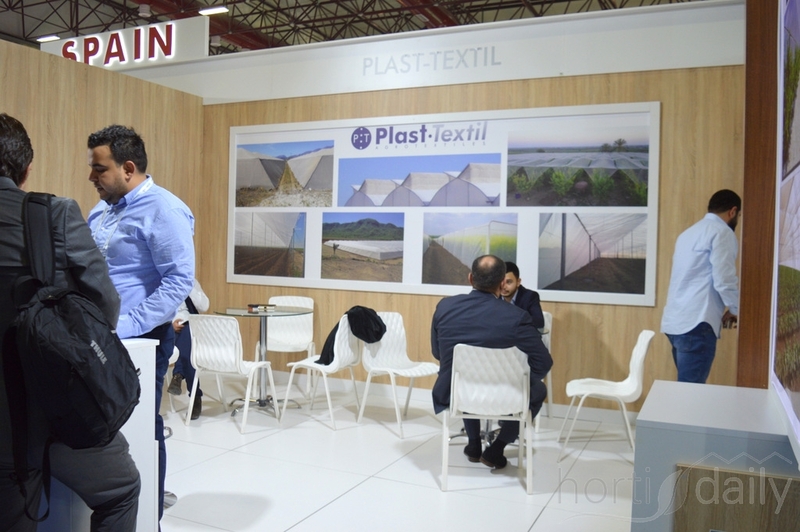 The hostesses of Ardent Plastik. 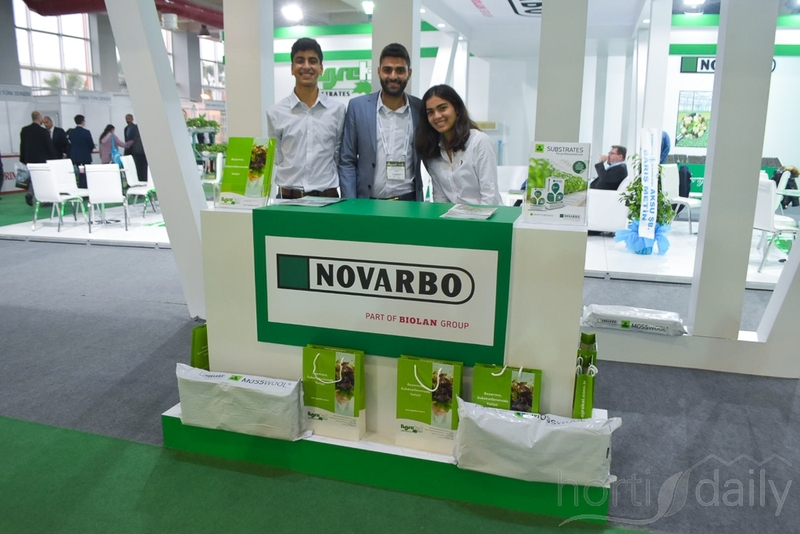 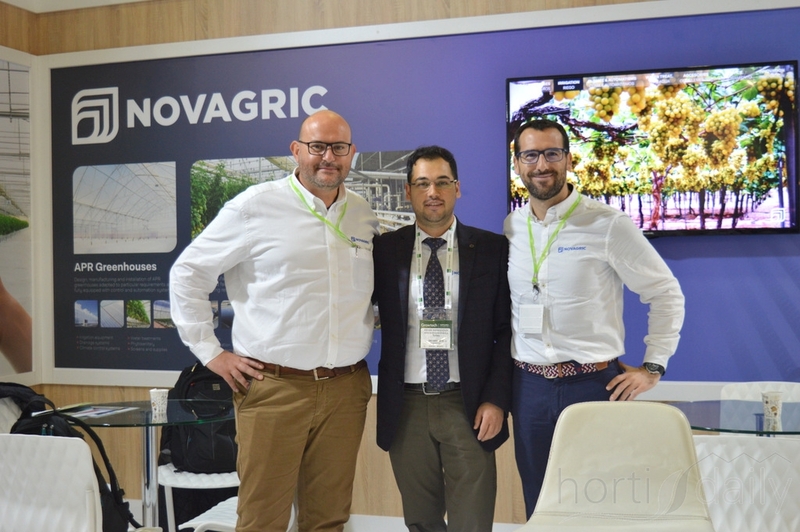 Antonio, Erhan and Samuel of Novagric. 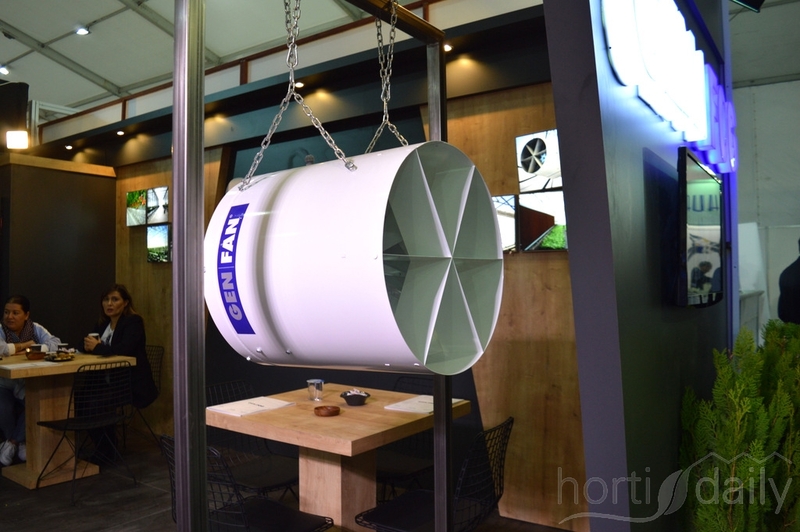 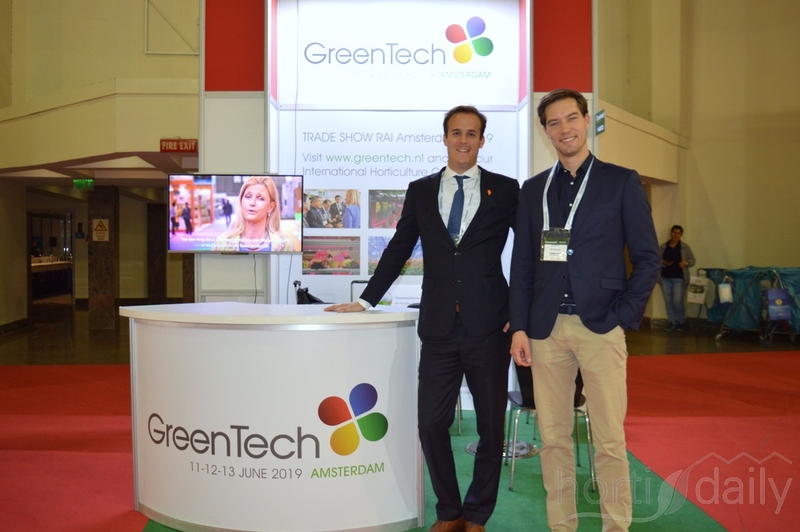 Job Knook and Thijs van der Meulen of Rai Amsterdam/GreenTech. 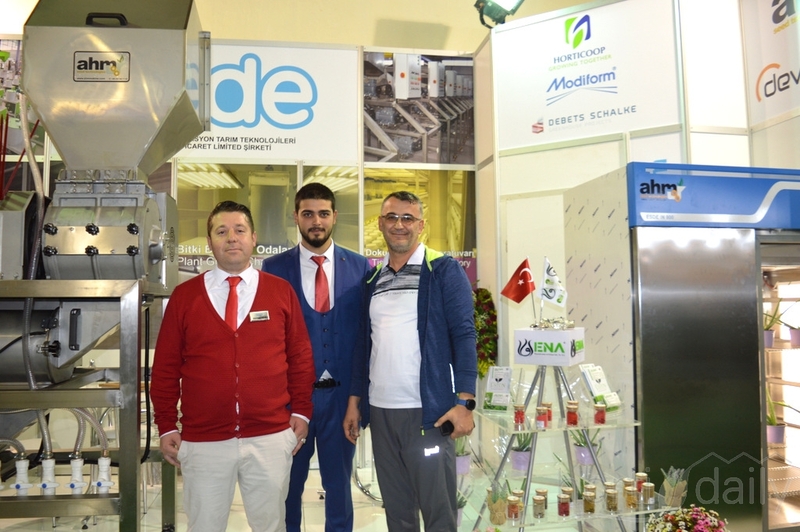 Mehmet, Yasin and Enes of Esde. 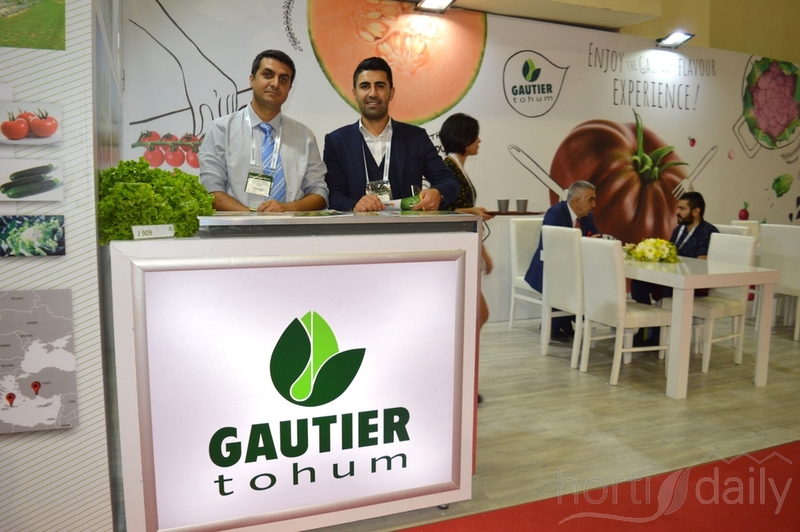 Cagdas and Ali of Gautier Tohum. 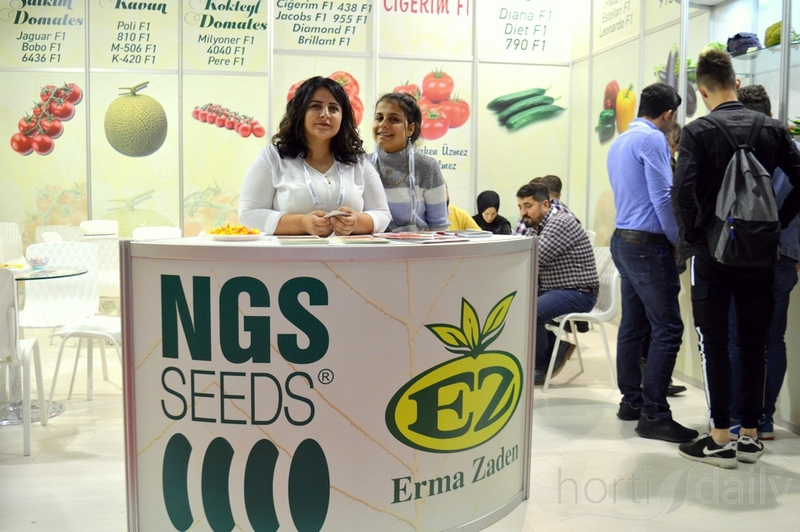 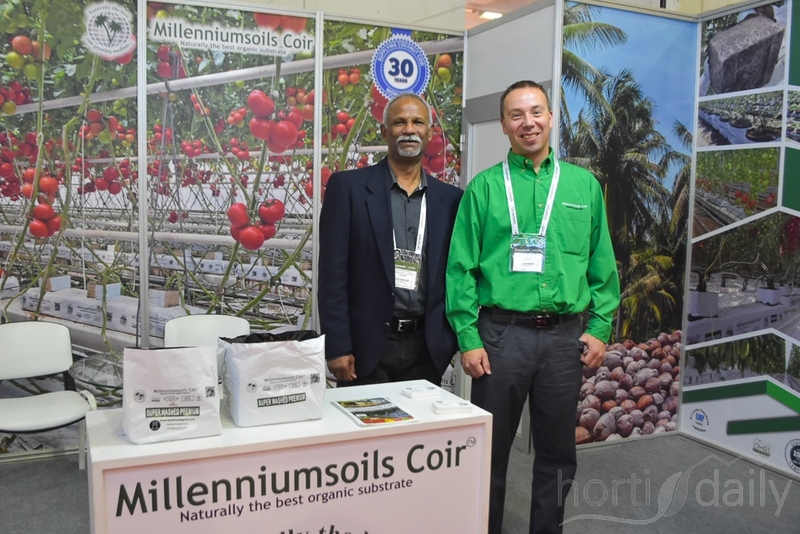 Serikban and Melik of NGS seeds. 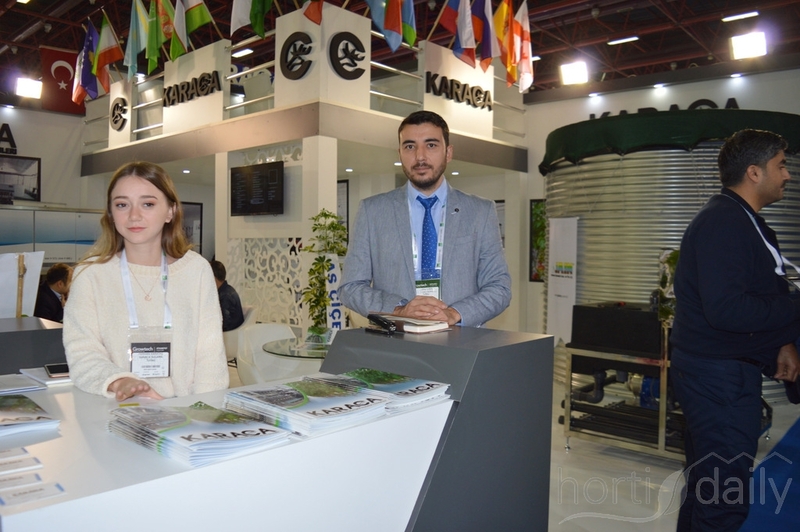 The hostesses of Yara Zaden. 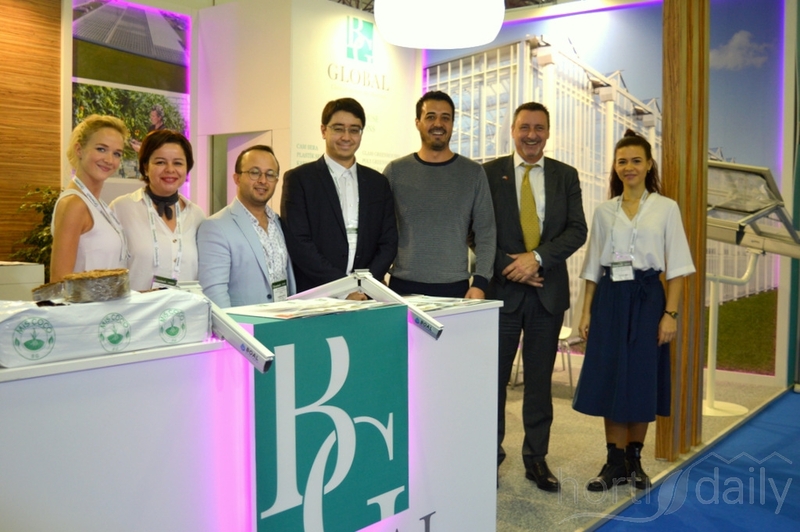 The team of BC Global. 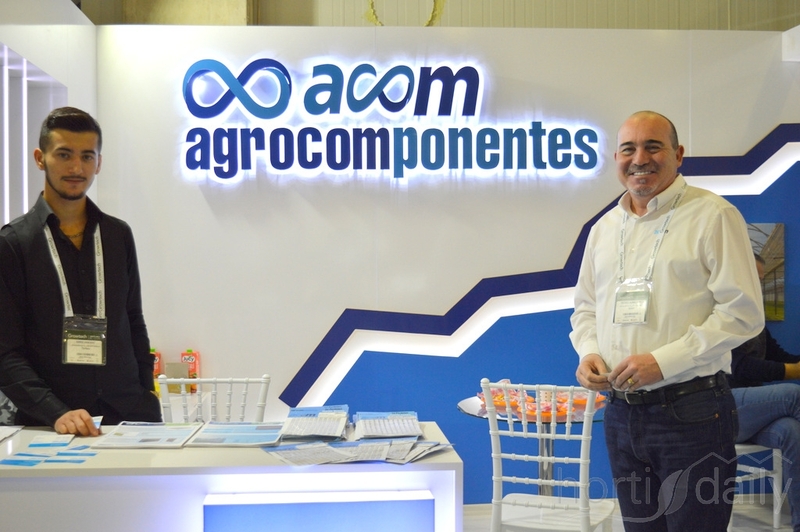 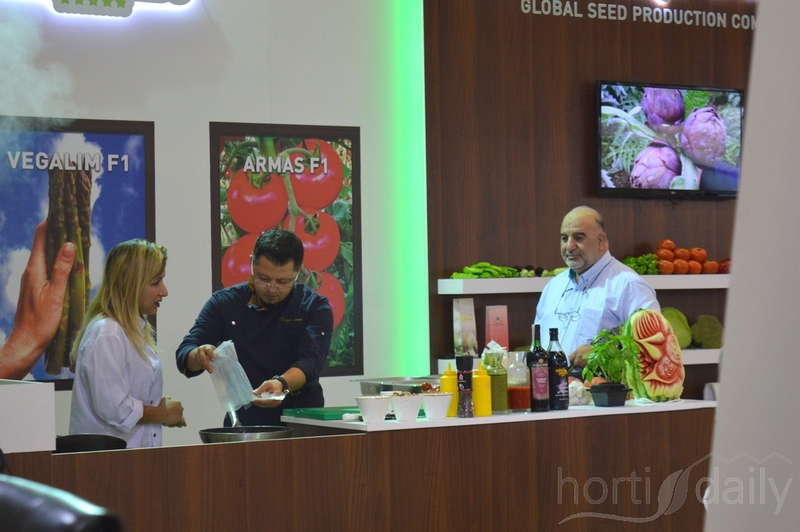 Emre and Pedro of ACOM Agrocomponentes.